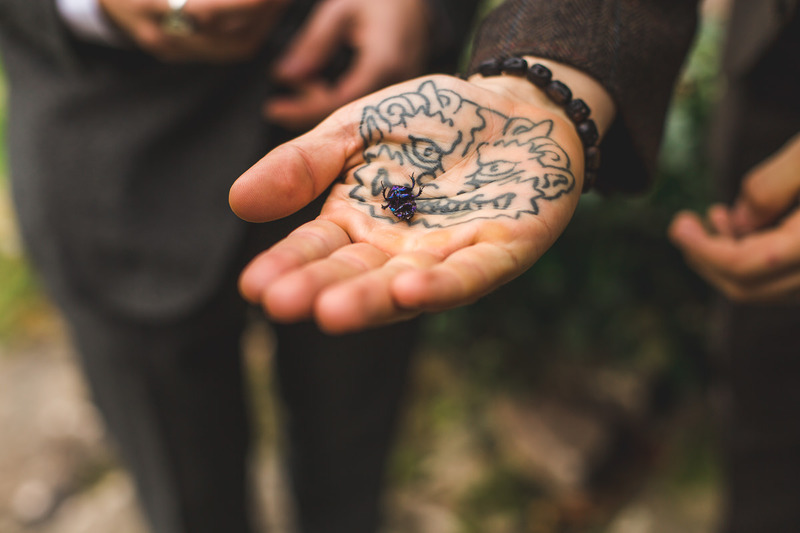 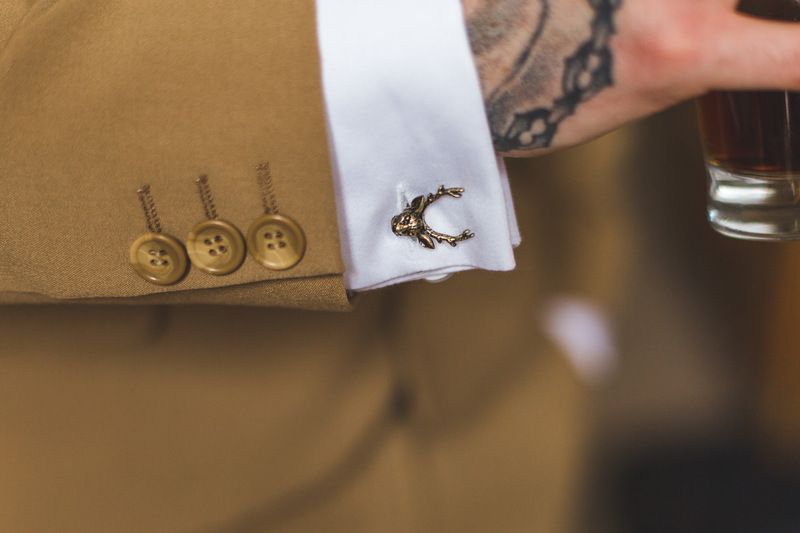 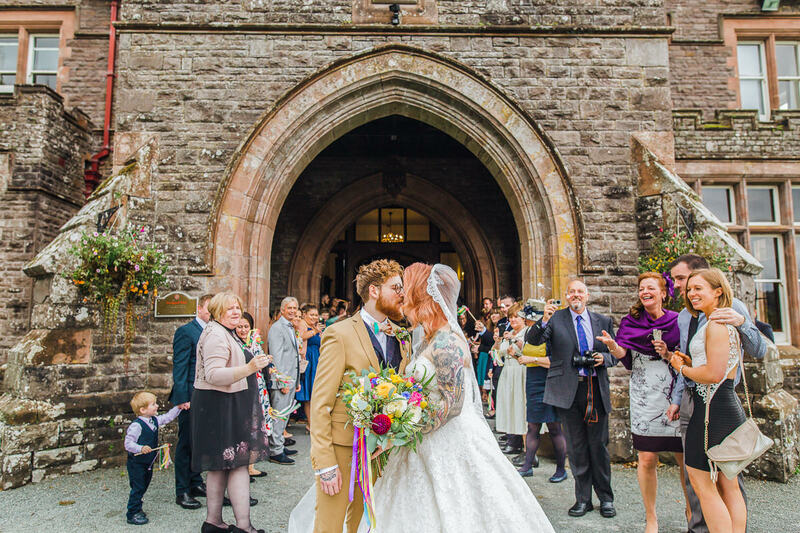 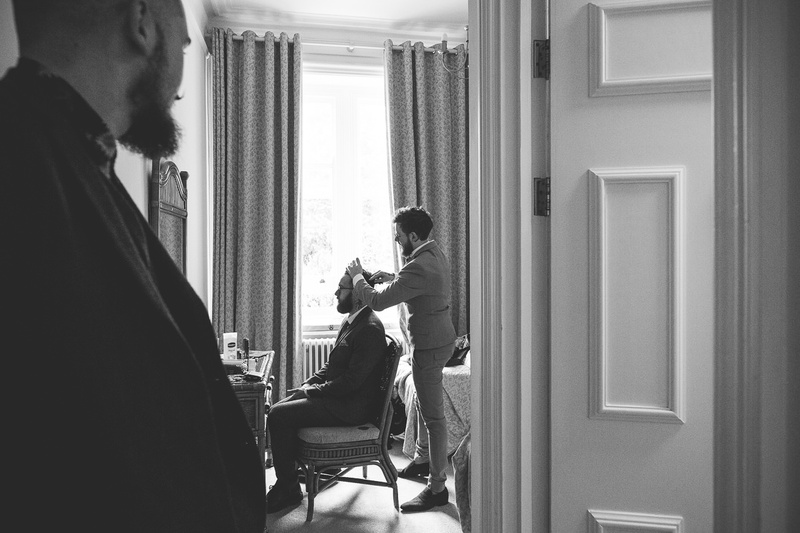 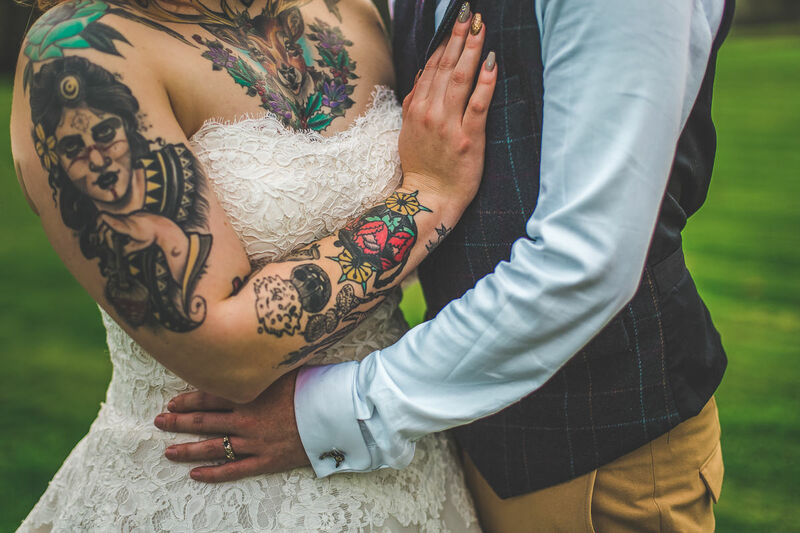 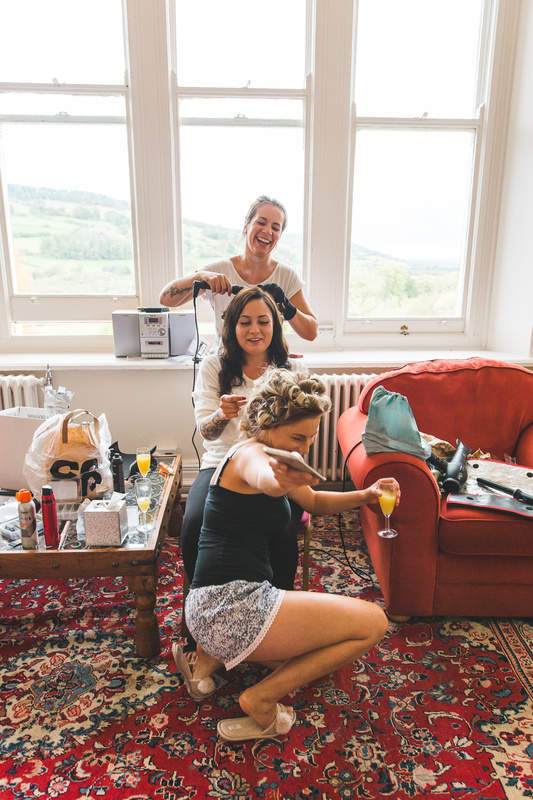 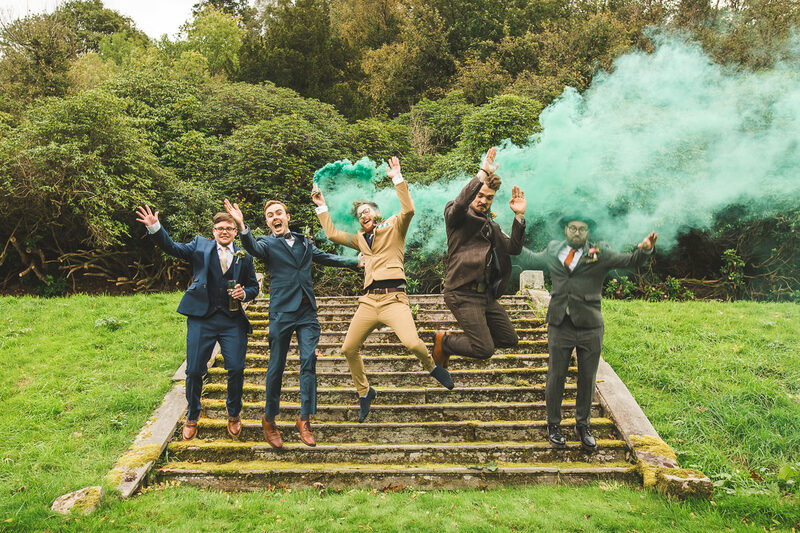 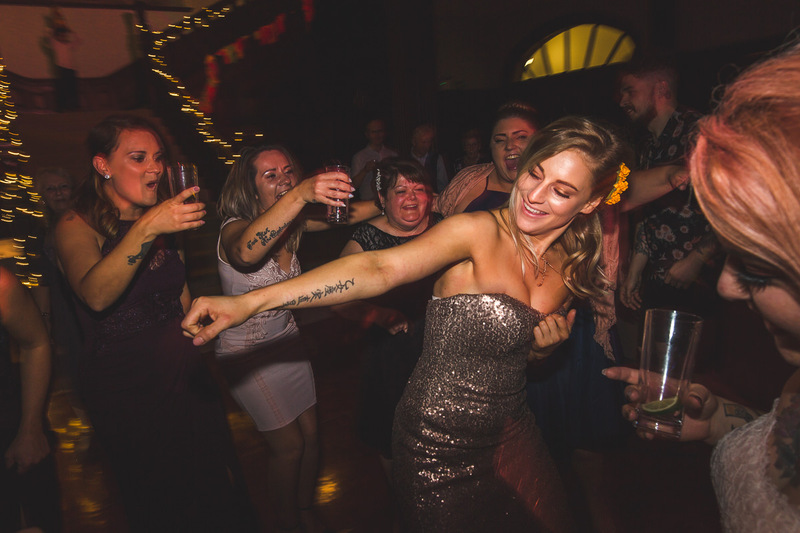 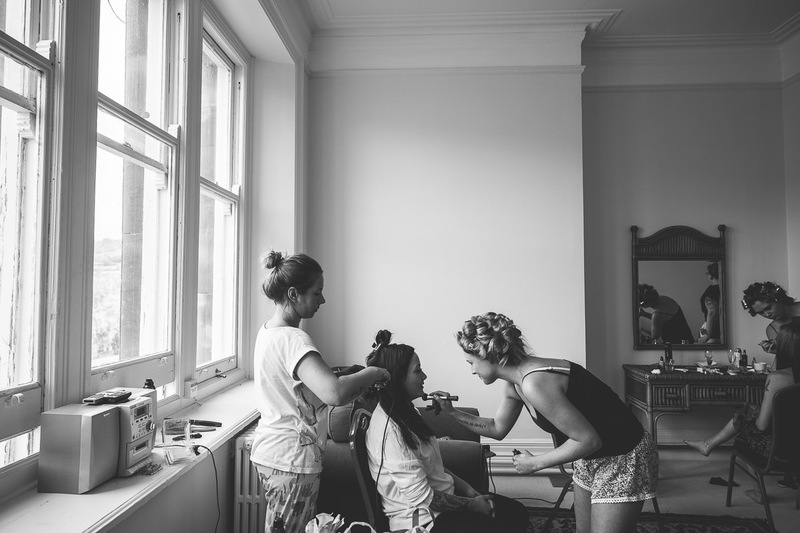 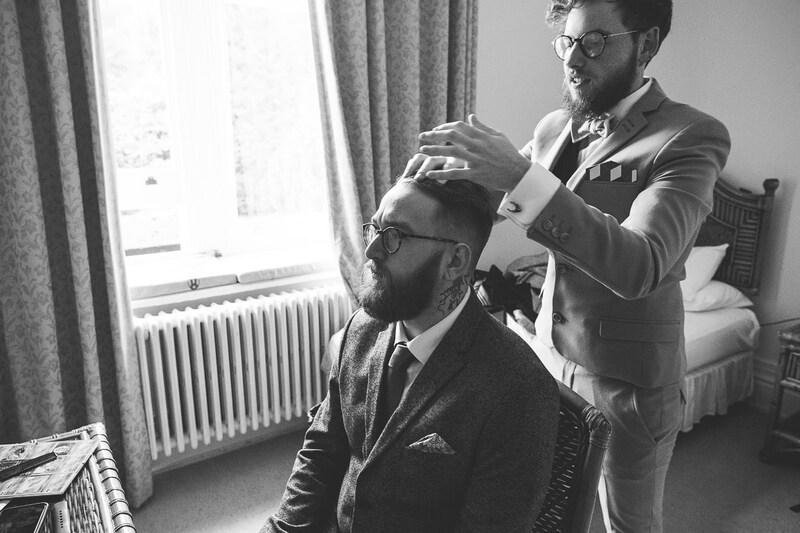 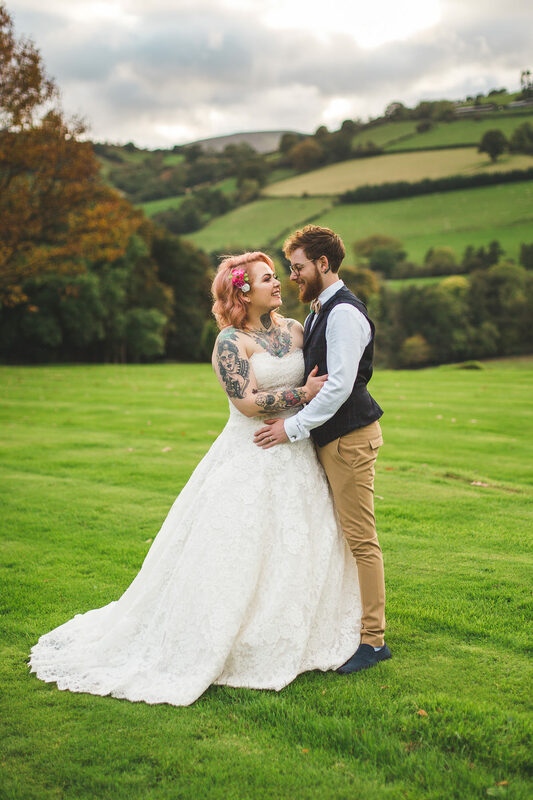 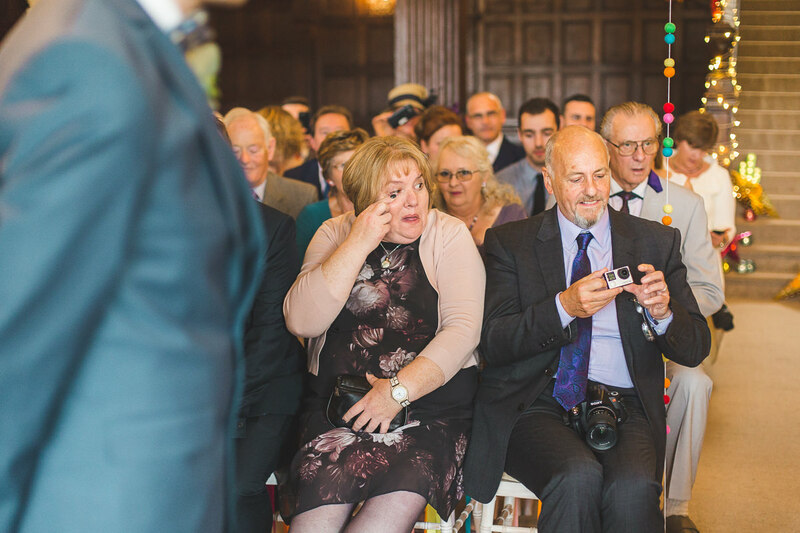 Man, I love Wales wedding photography! 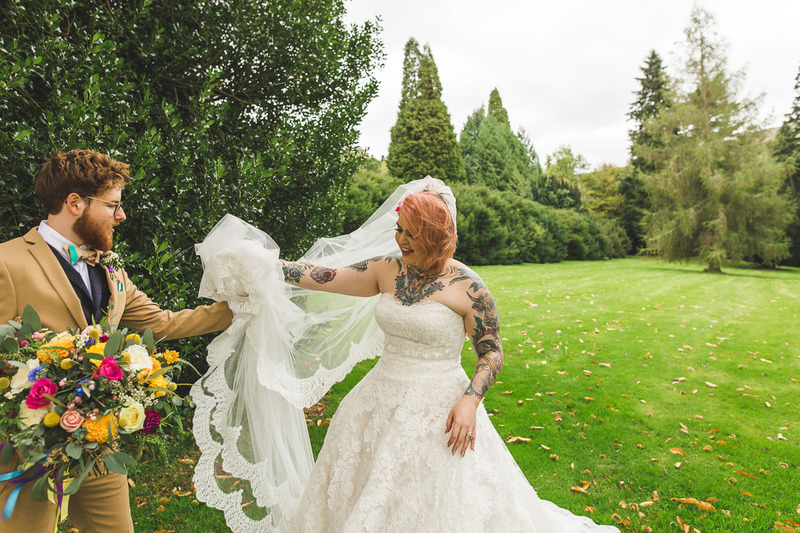 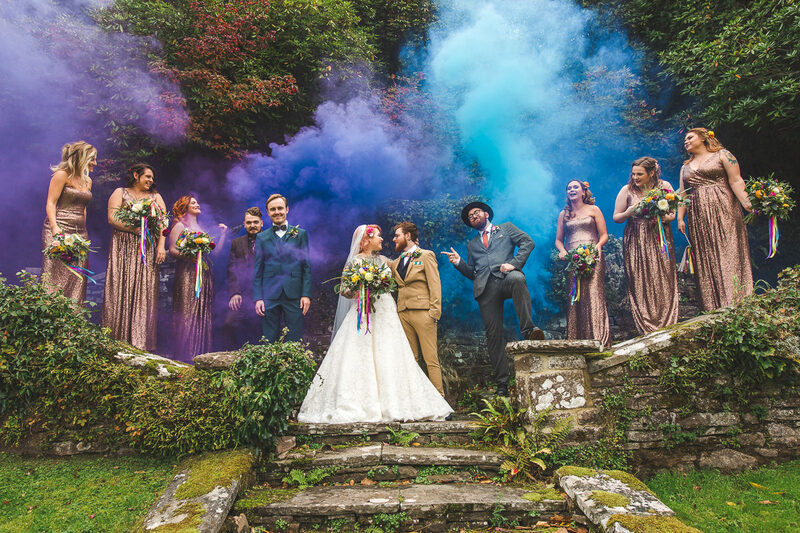 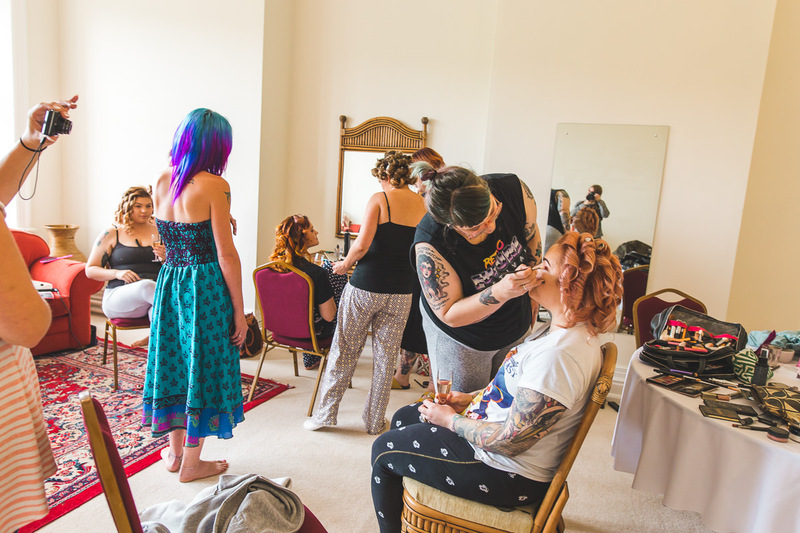 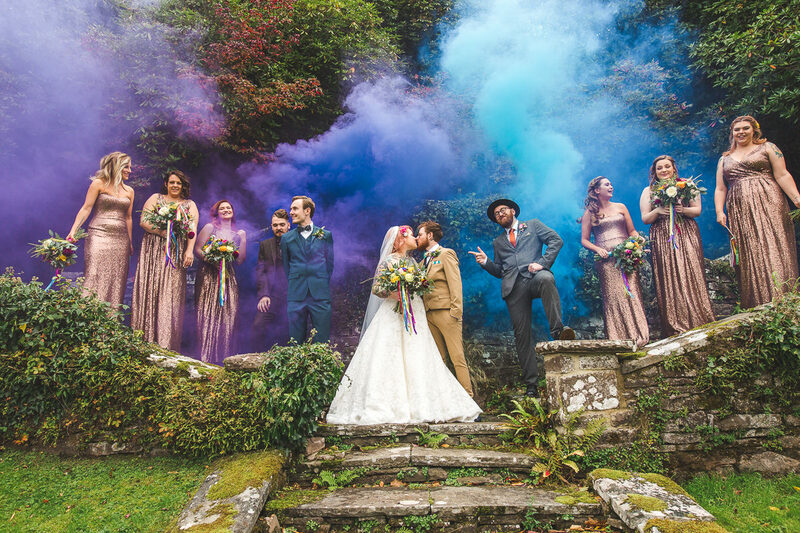 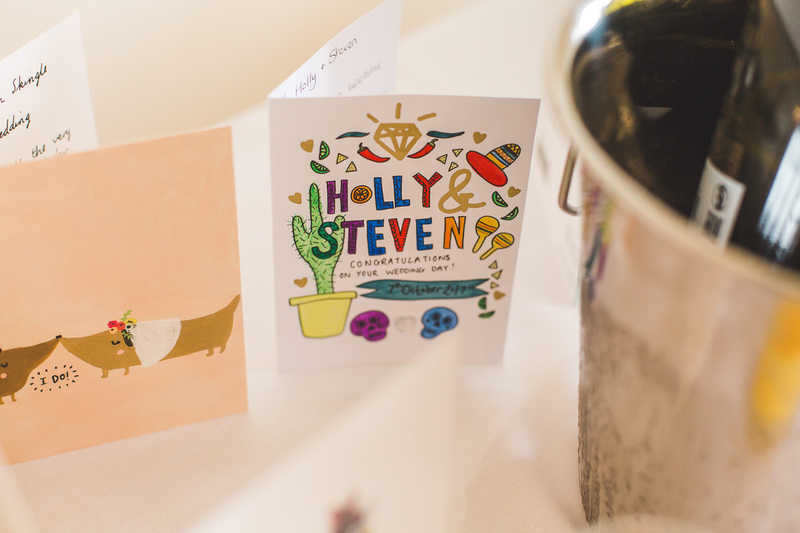 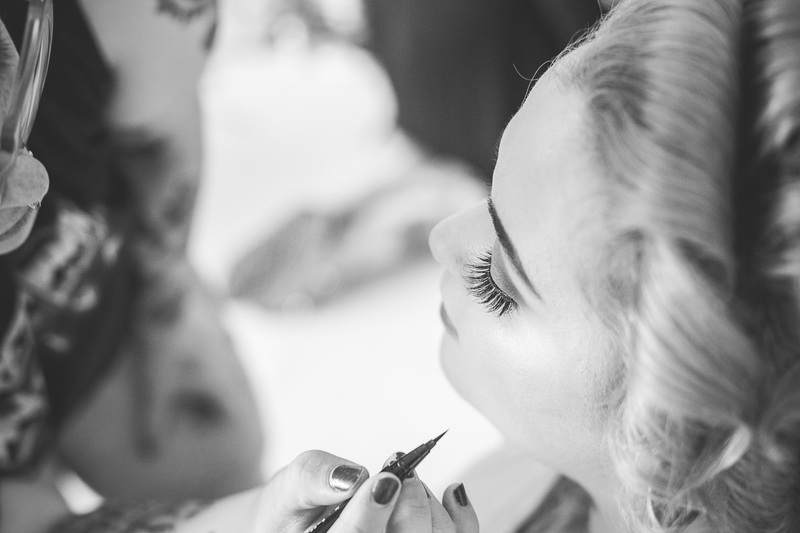 Holly & Steven had a wonderful alternative wedding day at Buckland Hall. 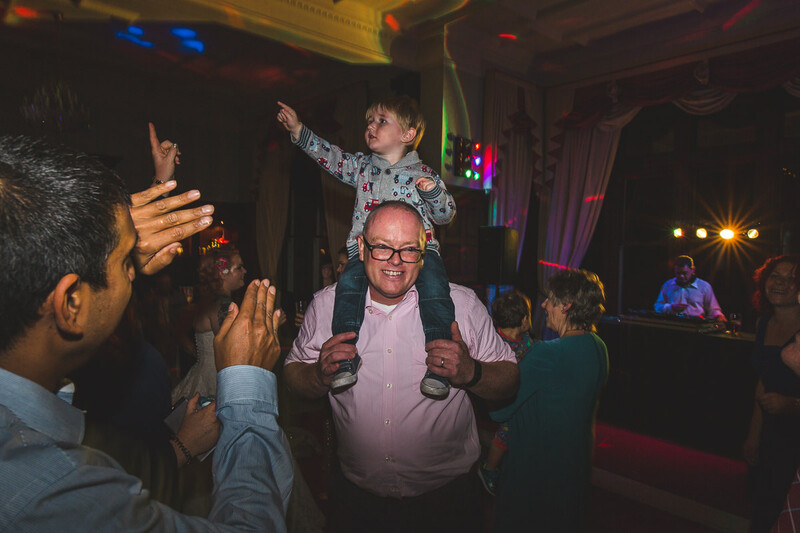 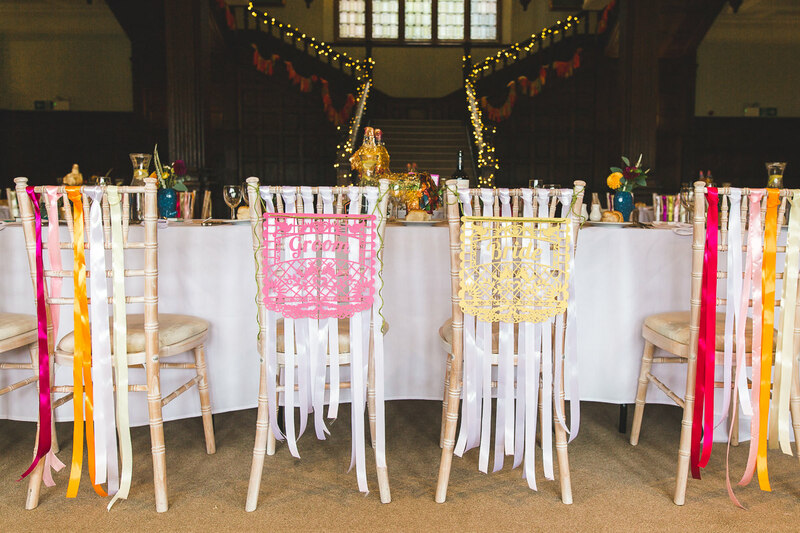 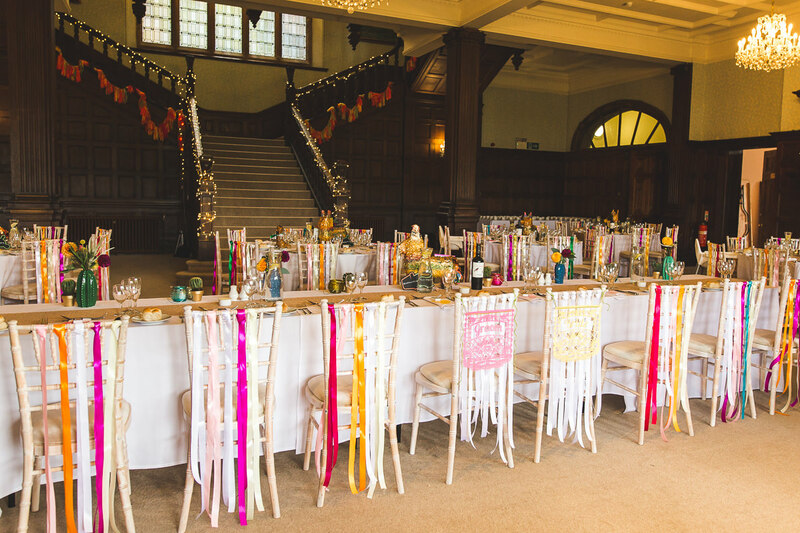 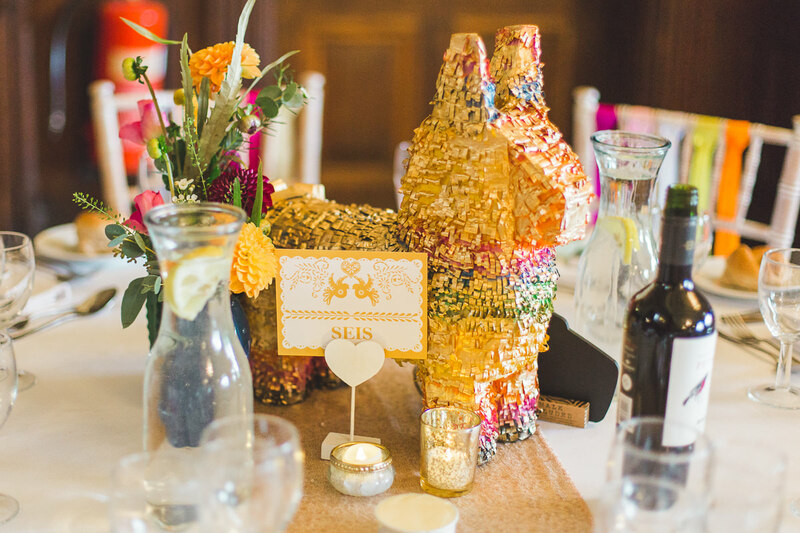 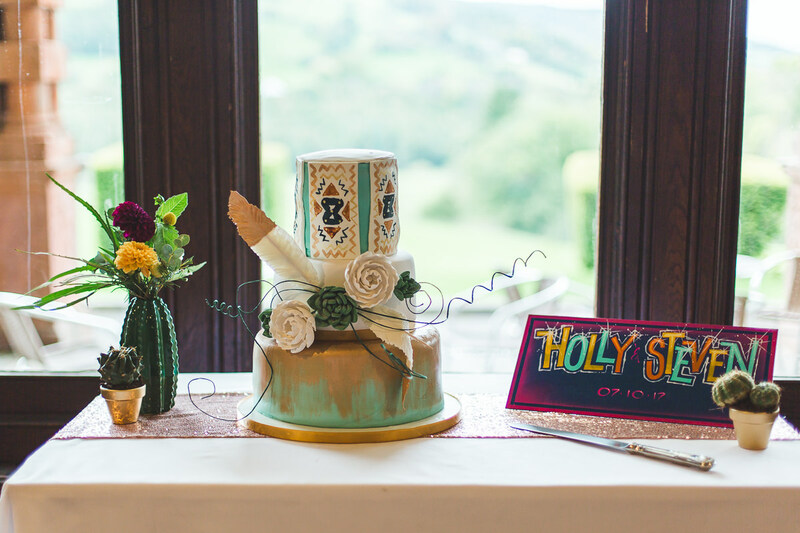 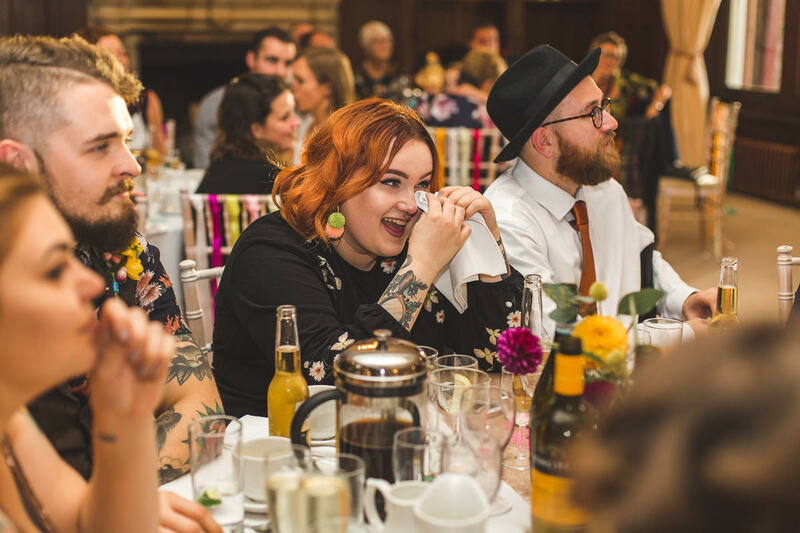 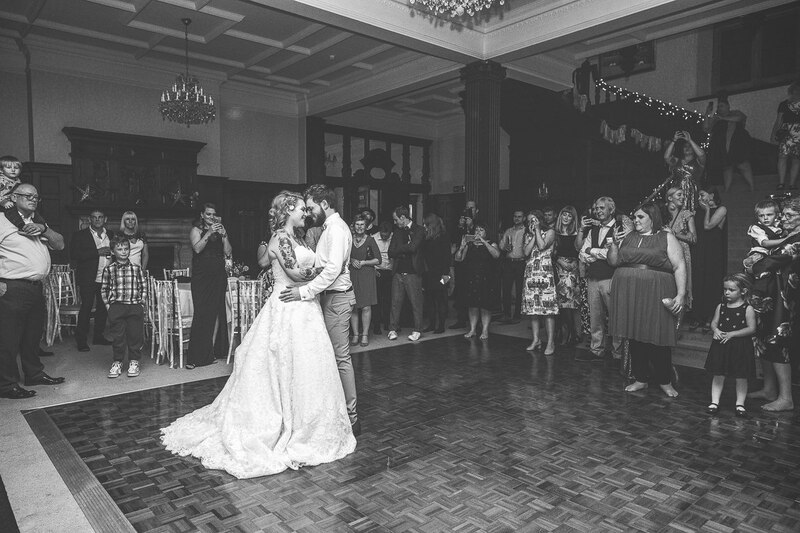 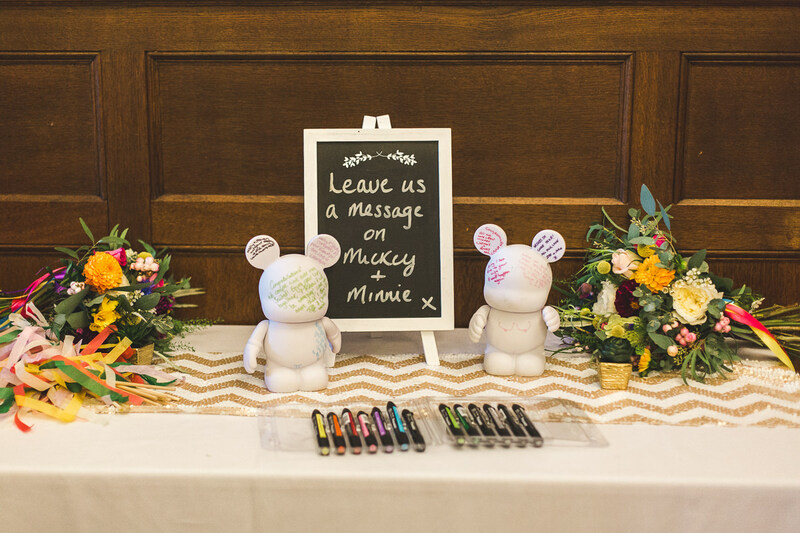 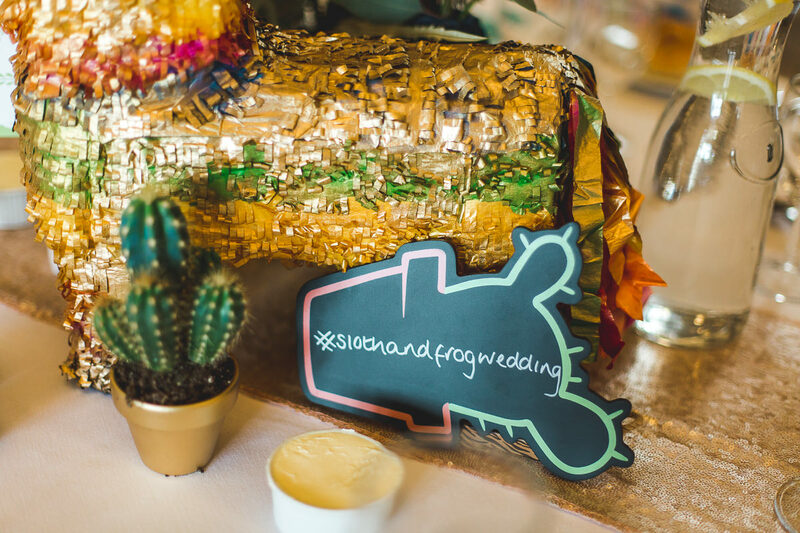 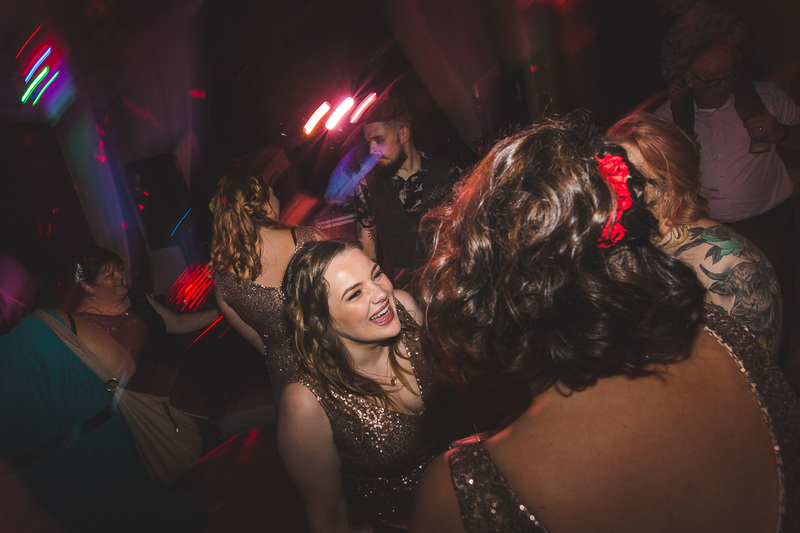 The Hall was transformed into a bright Mexican themed backdrop with table piñatas, streamers and my favourite – Mexican food! 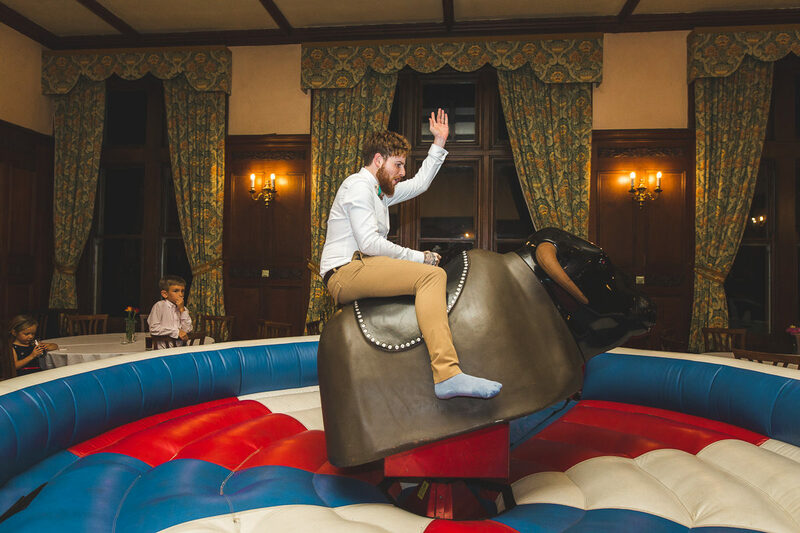 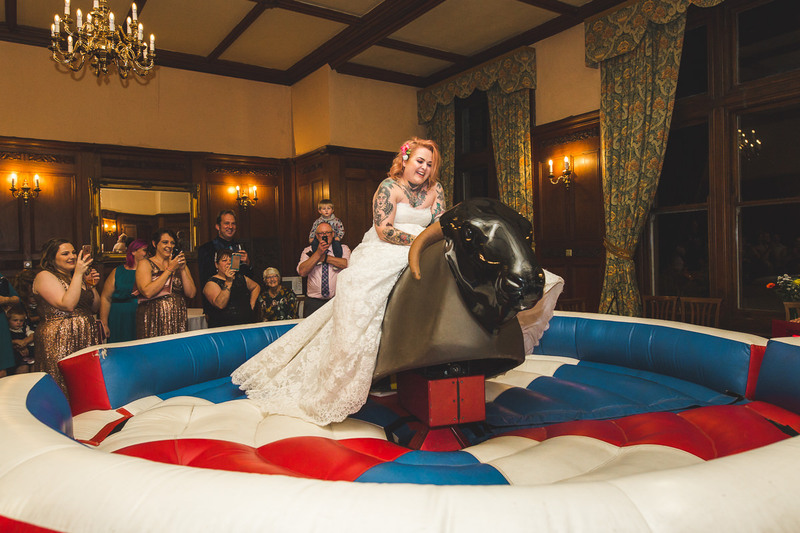 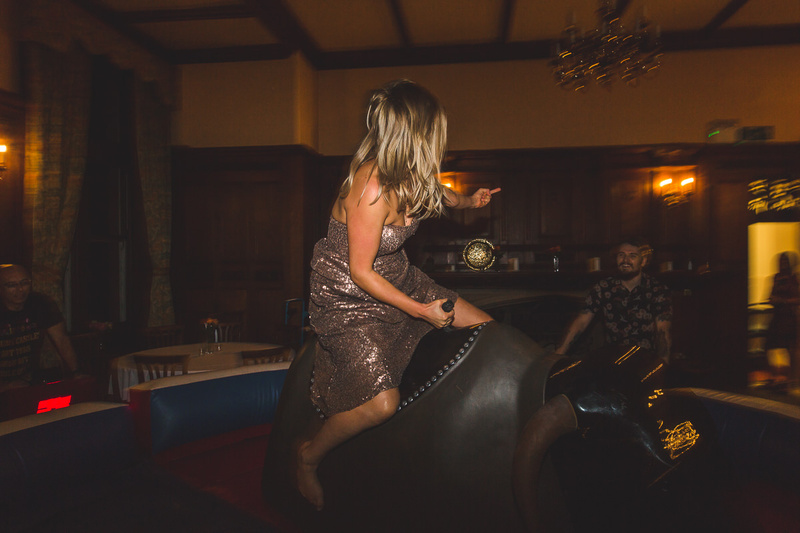 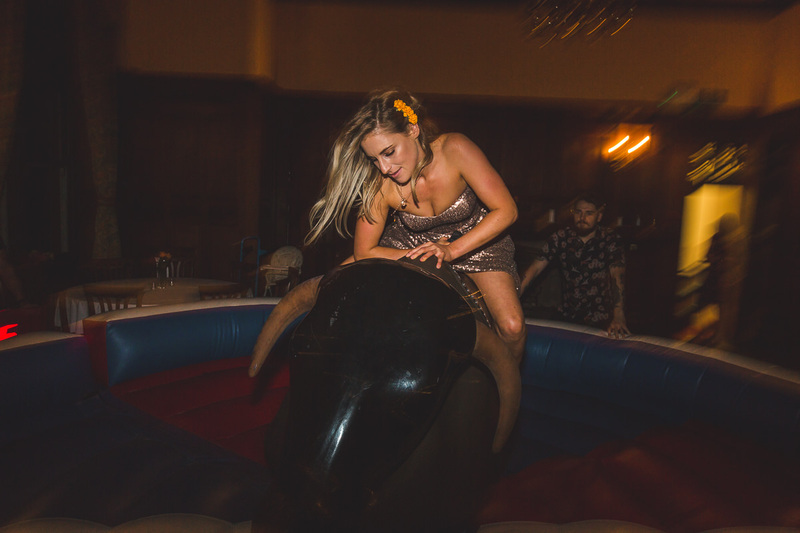 Plus they had a bucking bronco, how amazing is that? 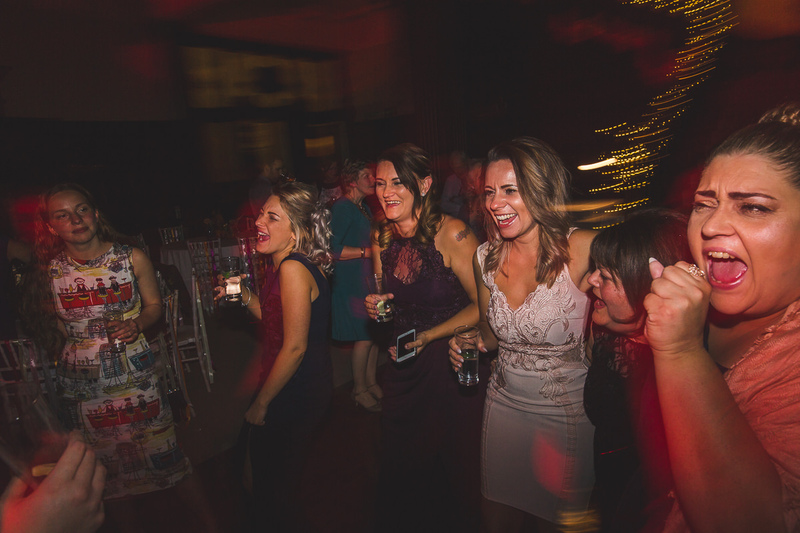 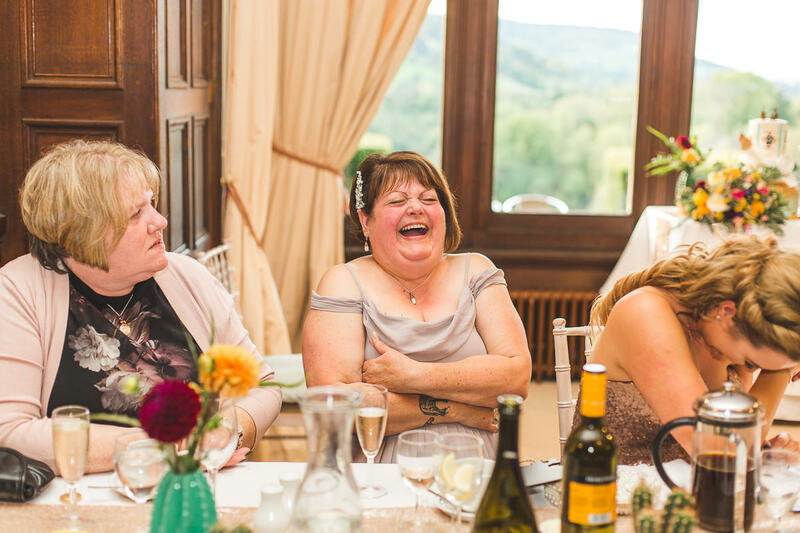 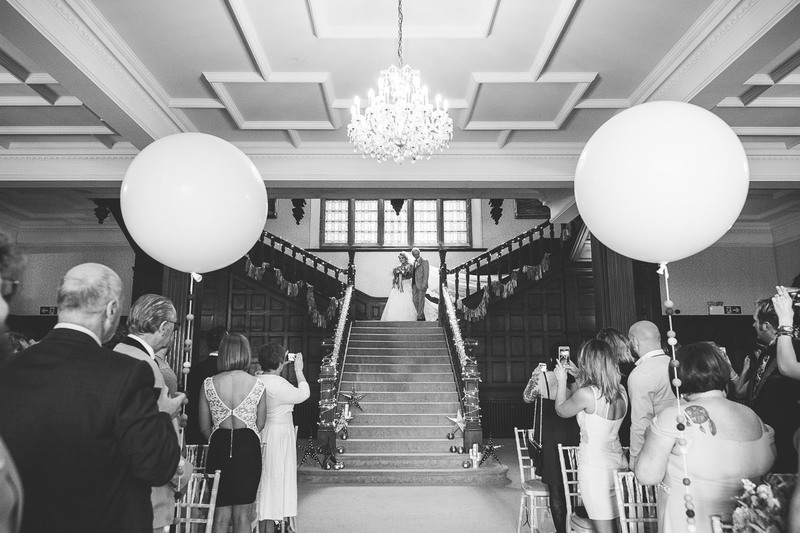 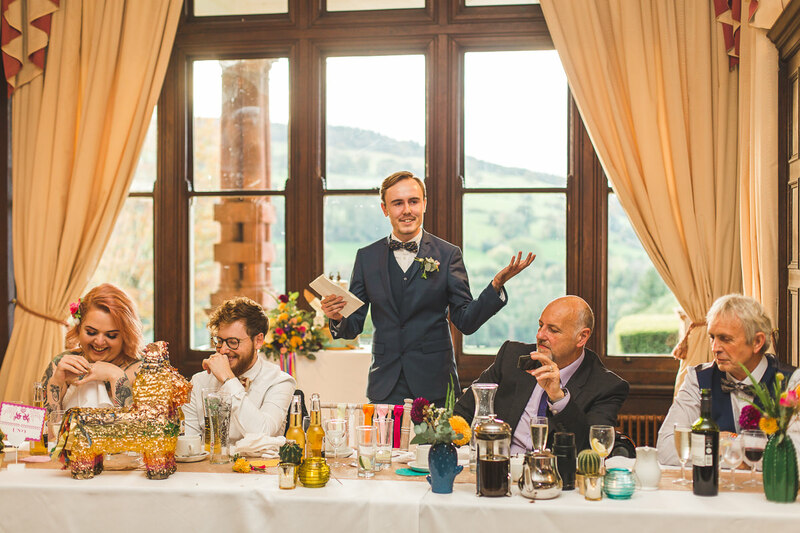 The venue is set within Brecons Beacons National Park and the rolling hills in the background are just breathtaking. 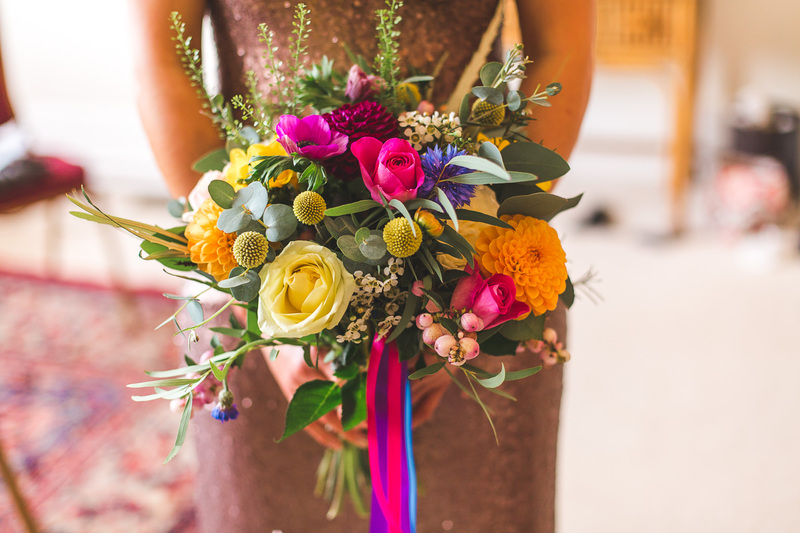 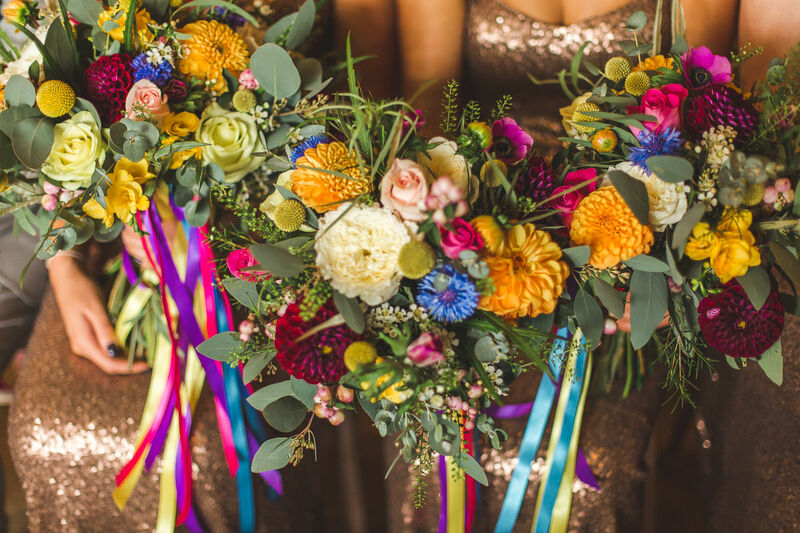 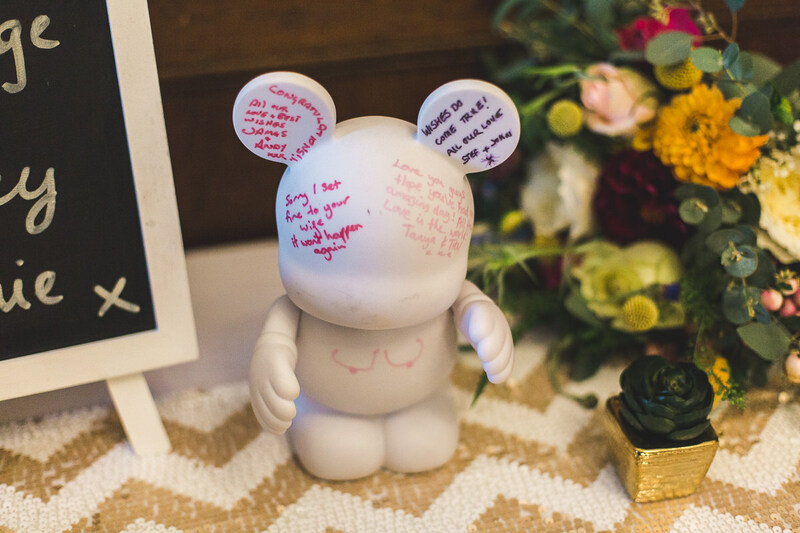 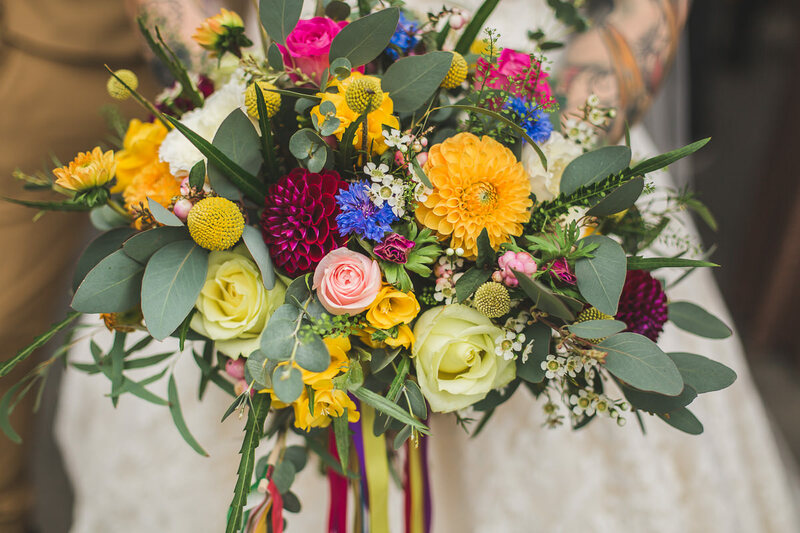 The flowers were also completely breath taking – all the colours and wonderful ribbons really were spectacular. 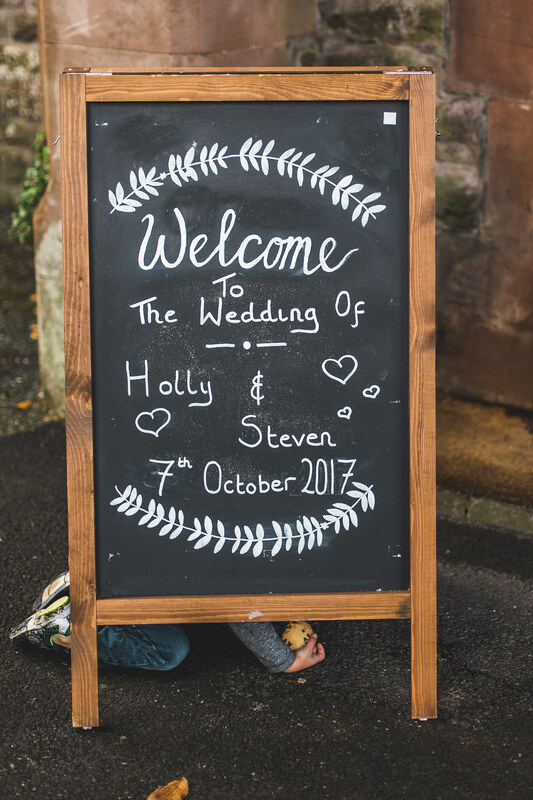 Holly and Steven are vegan and decided to have a completely vegan menu. 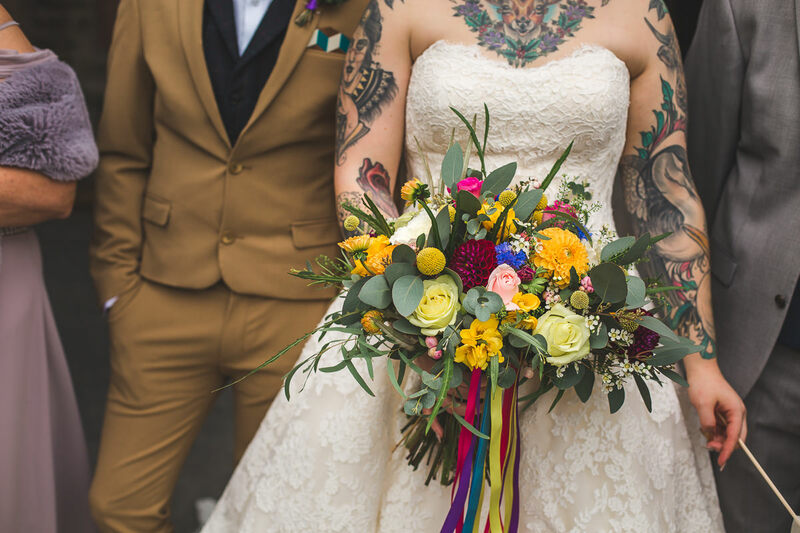 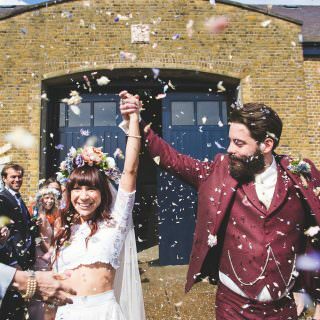 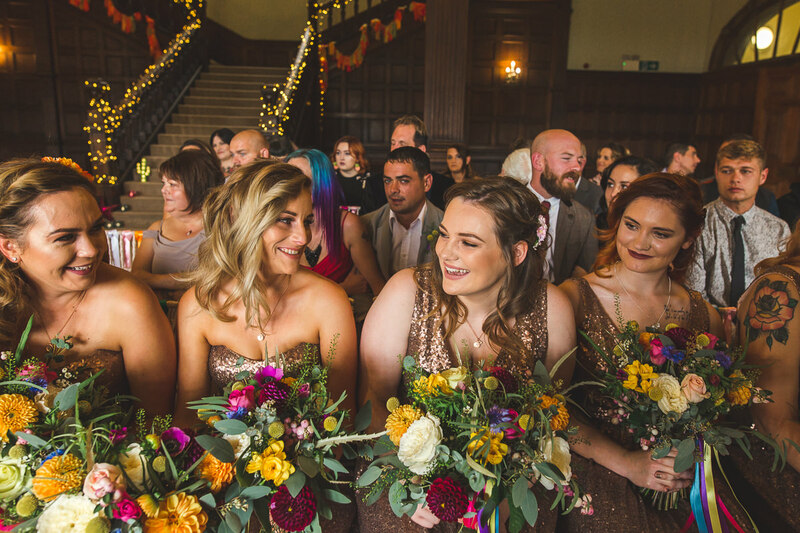 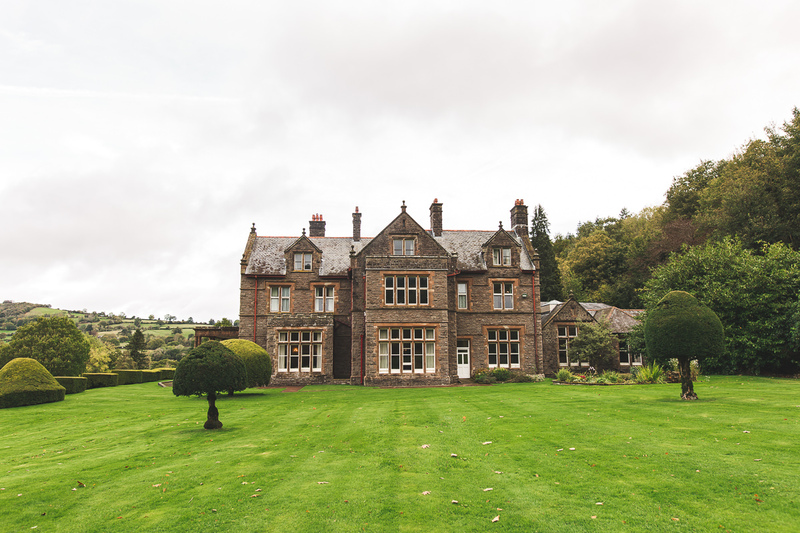 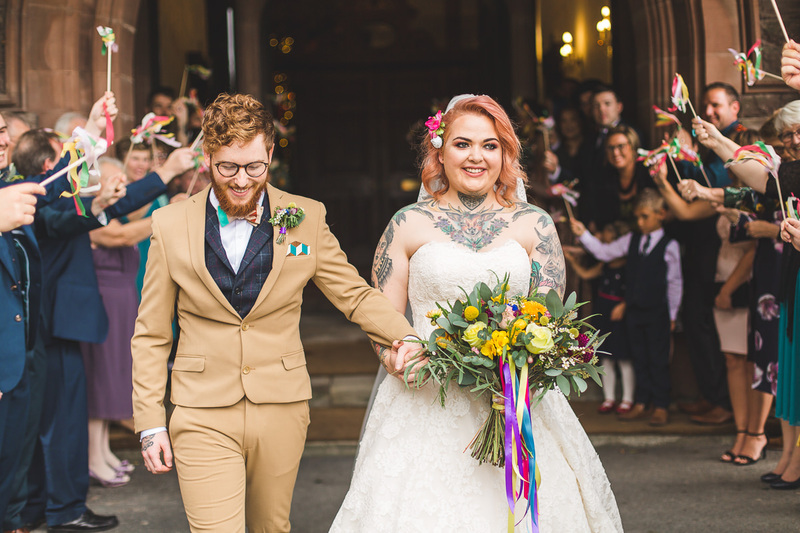 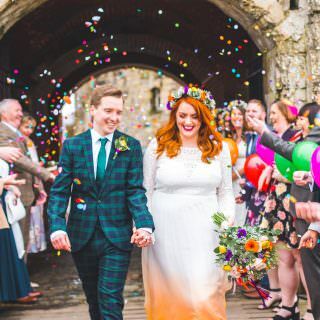 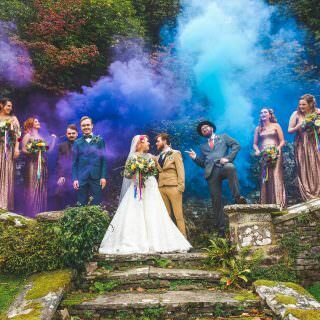 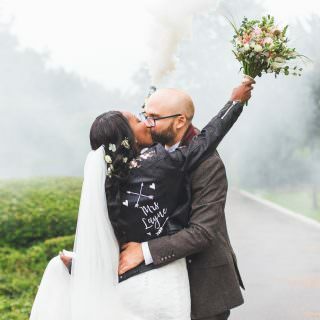 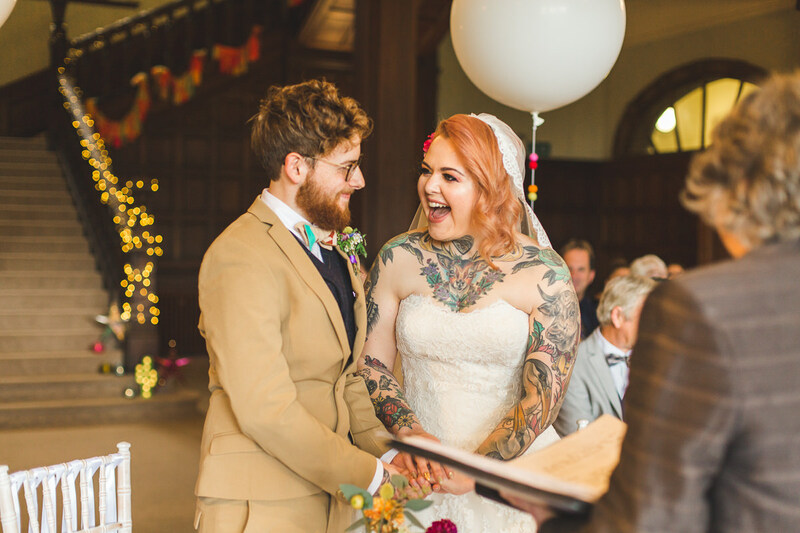 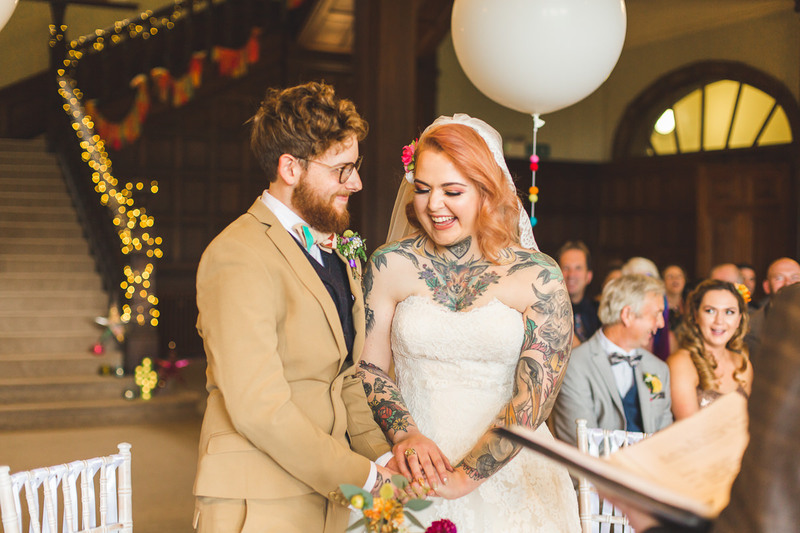 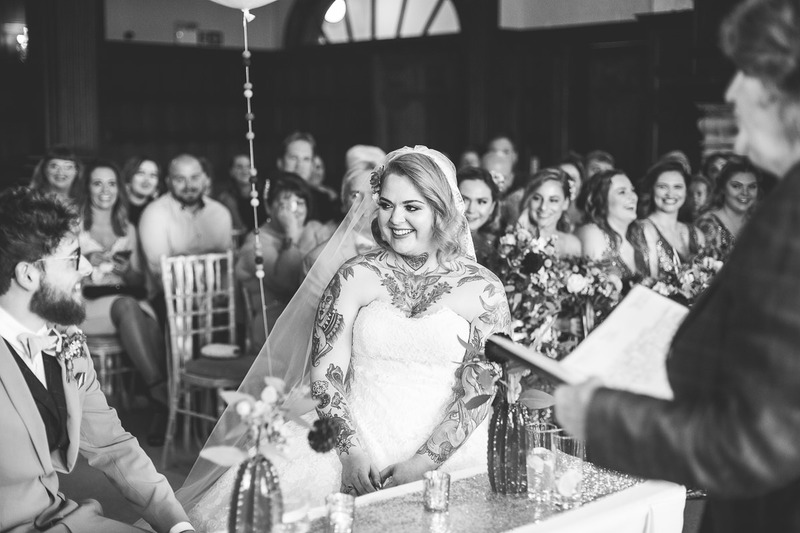 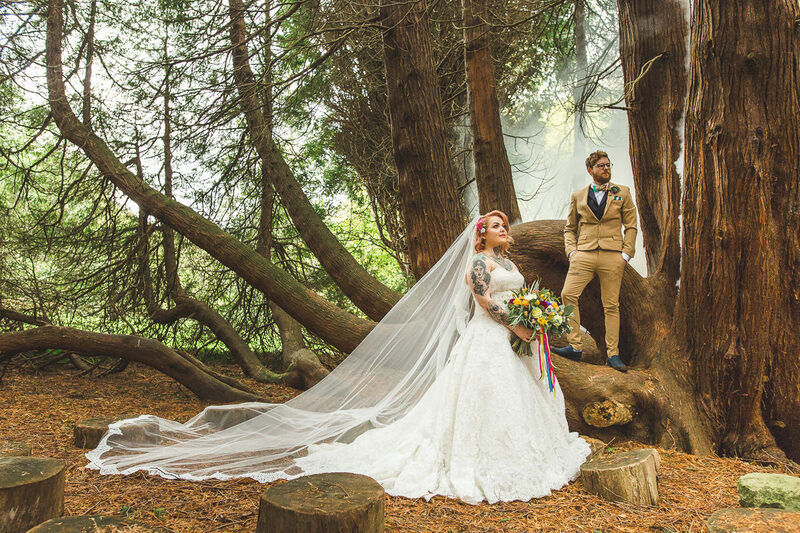 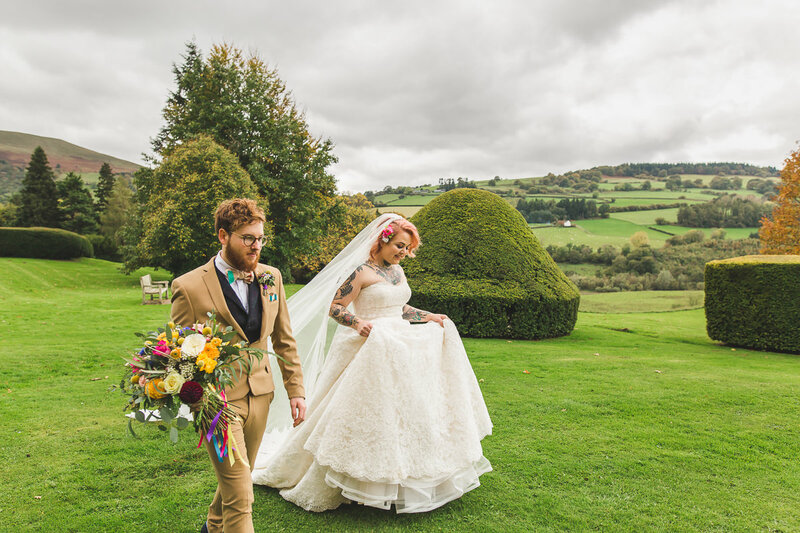 Buckland Hall specialise in vegan food so it was a no brainer for them to have their big day there. 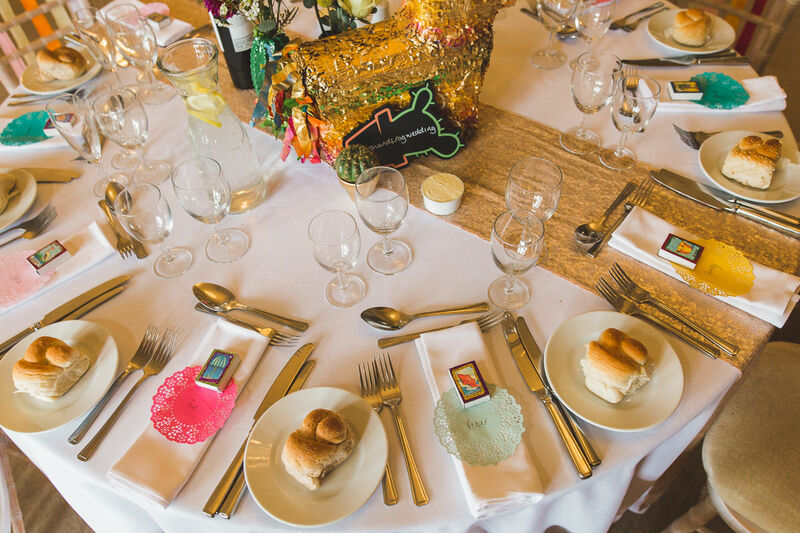 I can honestly say the food was amazing! 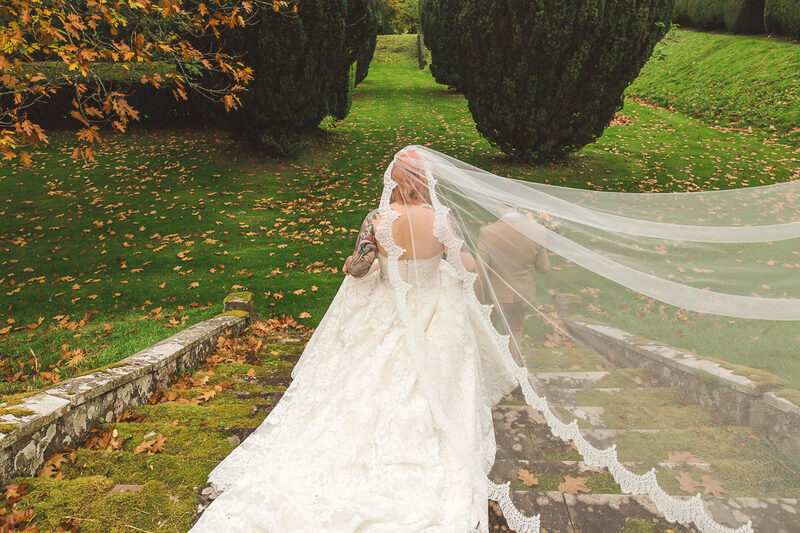 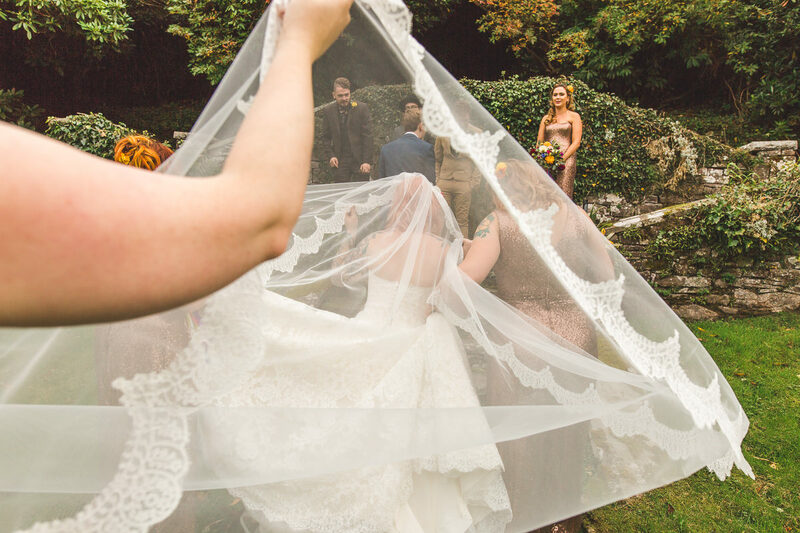 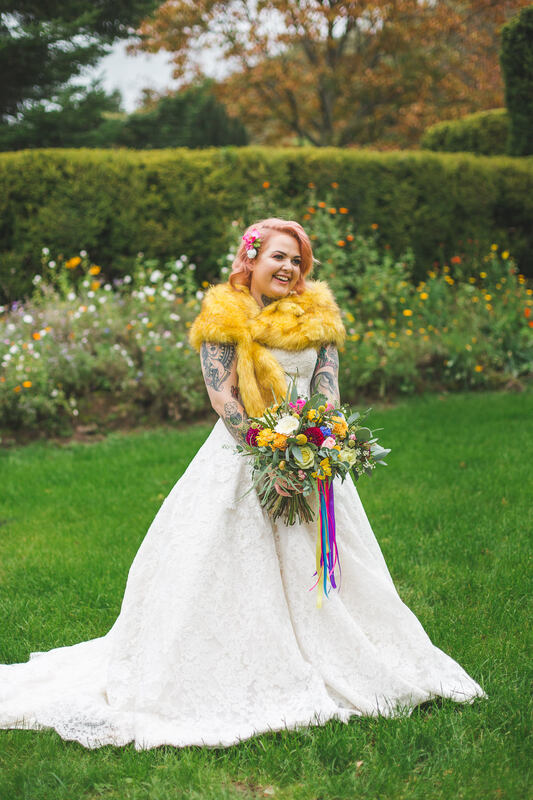 Holly wore a beautiful dress and veil from Pronovias and the faux fur really complimented the look. 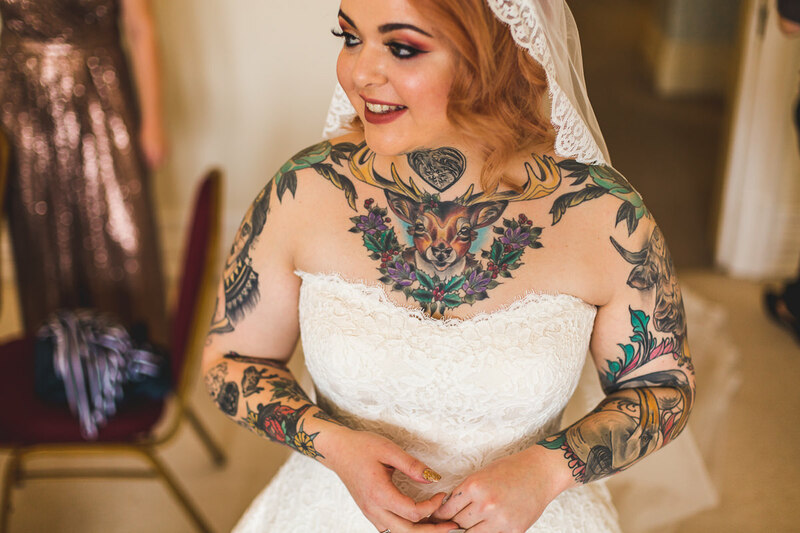 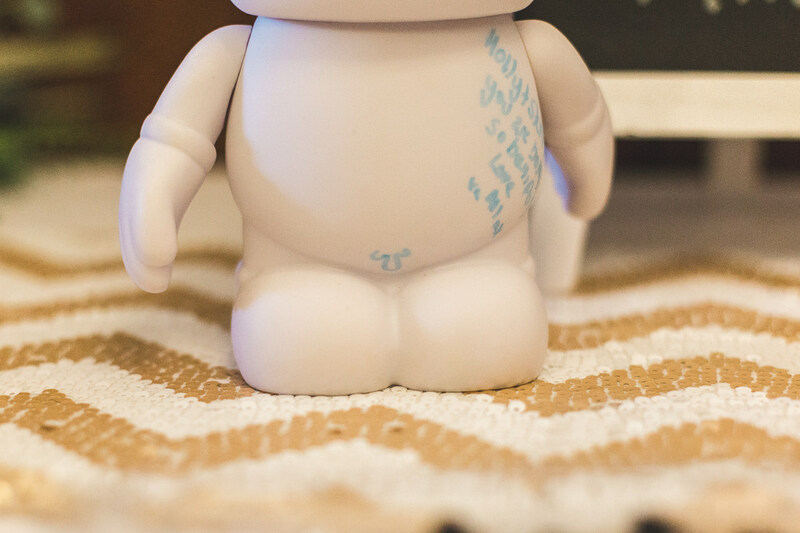 I also love that Holly showed off all of her wonderful tattoos too! 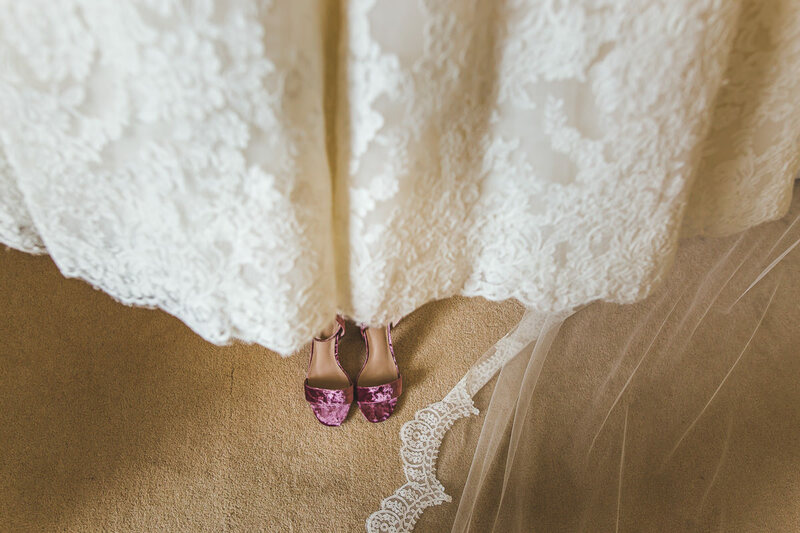 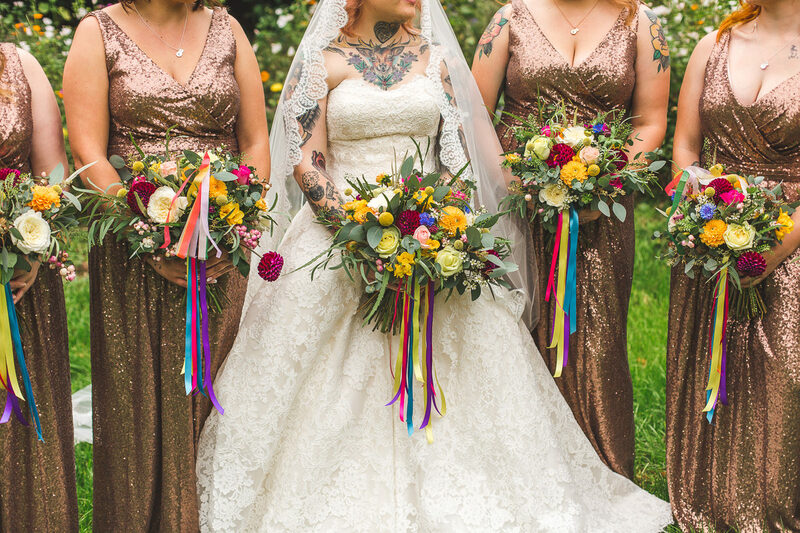 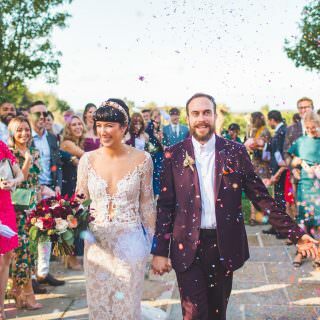 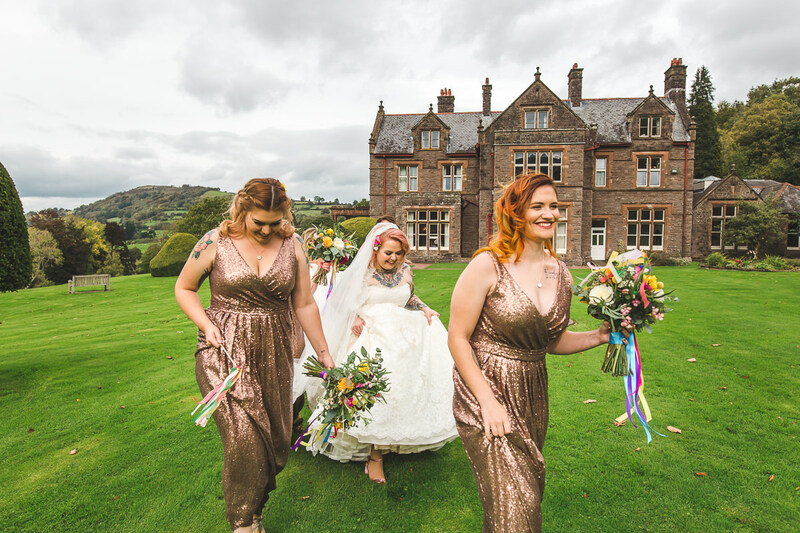 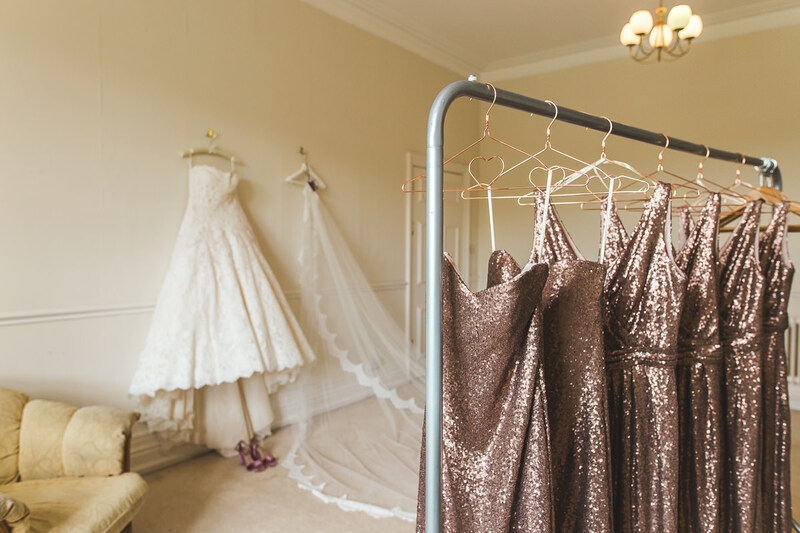 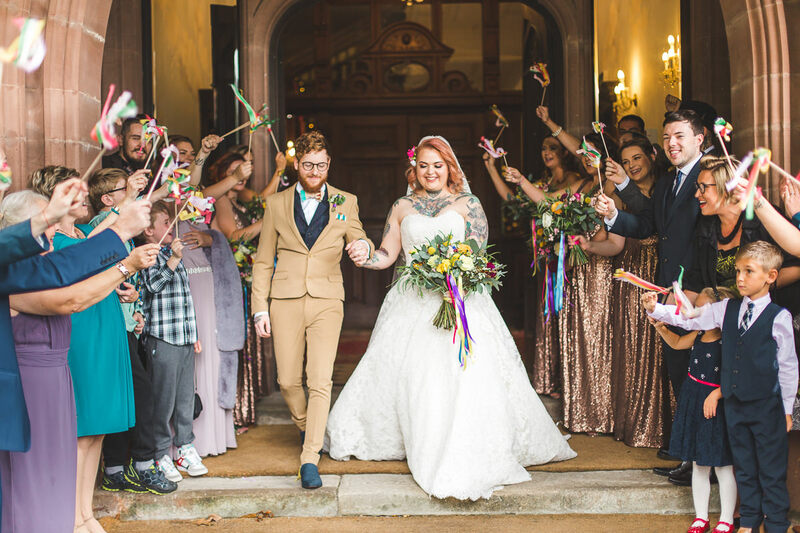 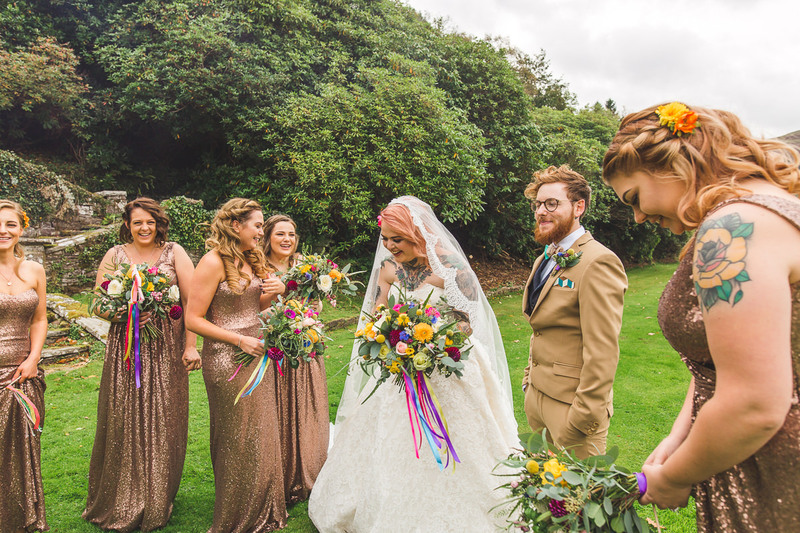 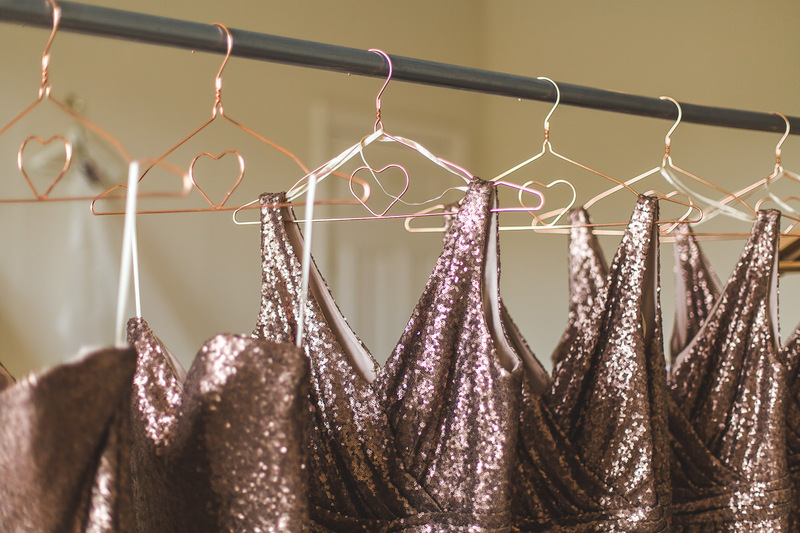 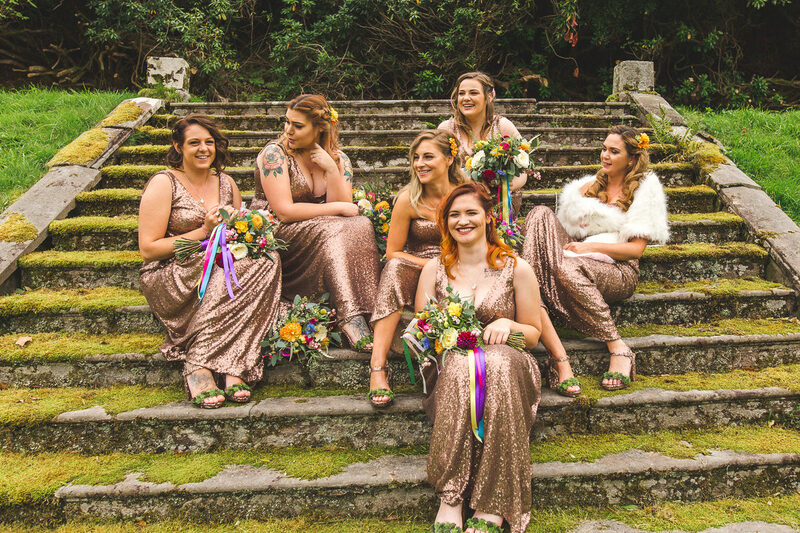 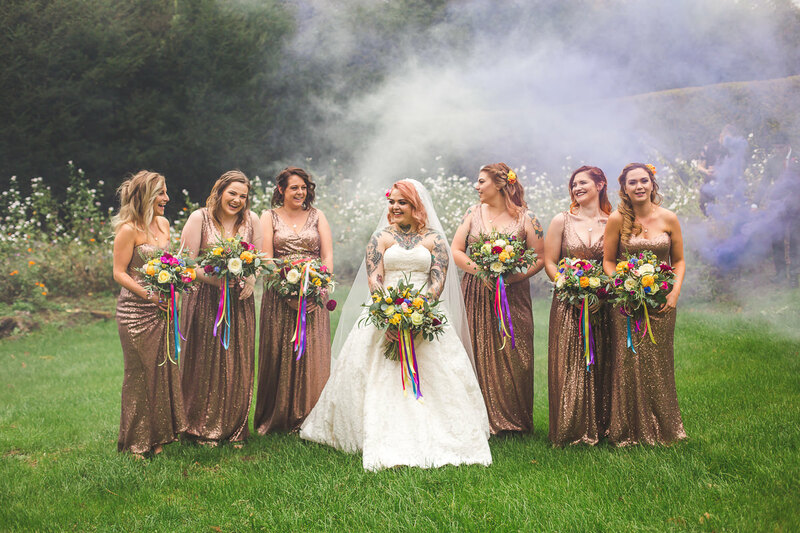 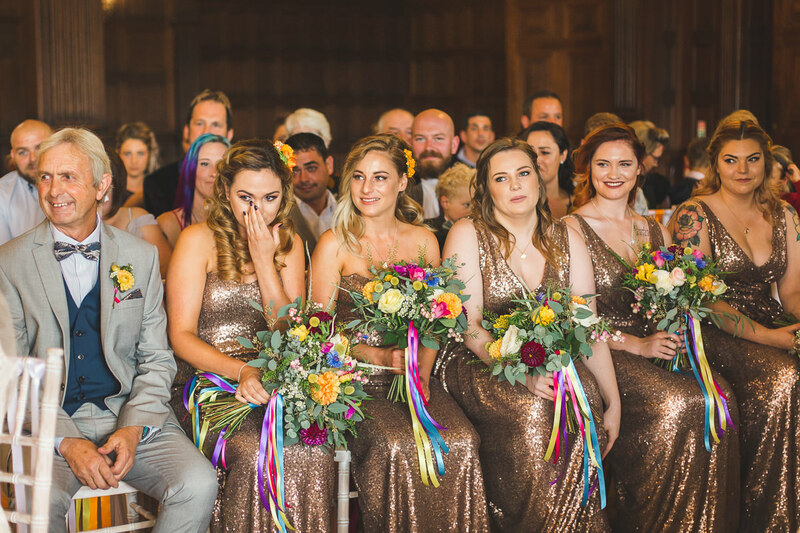 The bridesmaids wore pretty rose gold sequin dresses and matching shoes, which were made by one of the bridesmaids. 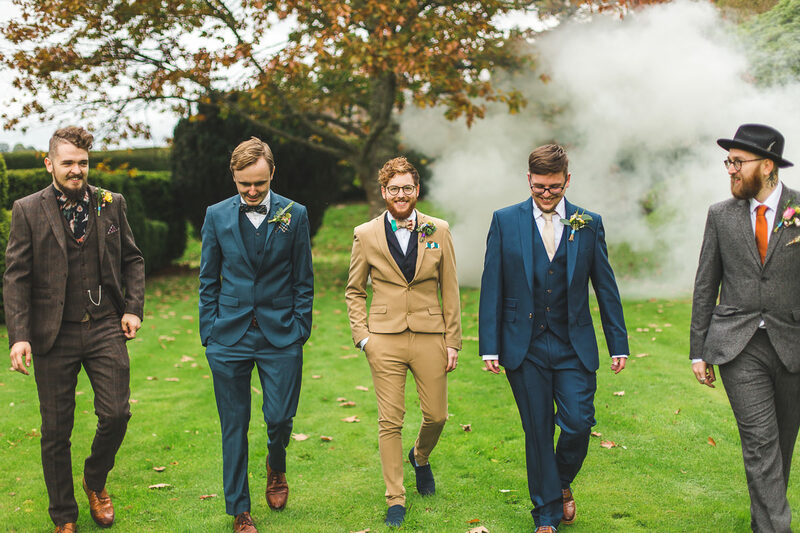 Steven had a dapper suit from Asos in such a cool alternative colour. 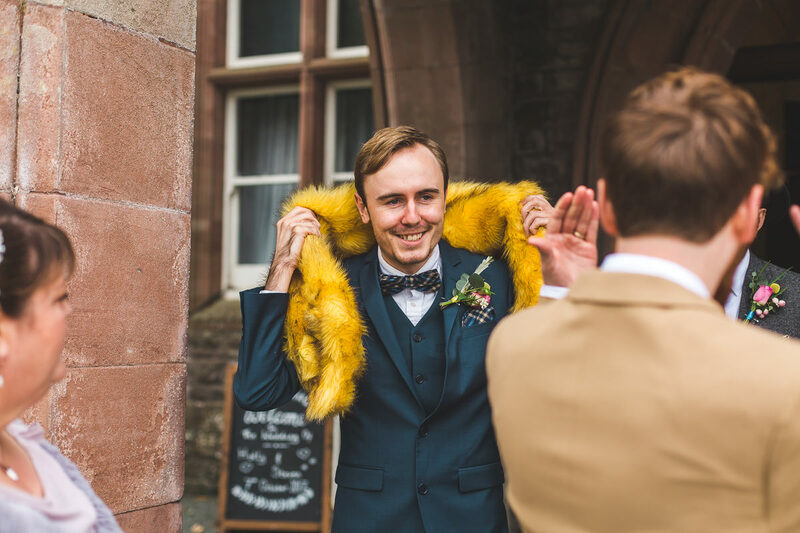 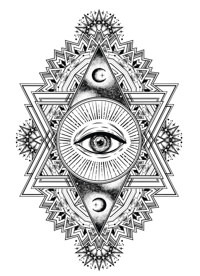 It really suited him (no pun intended). 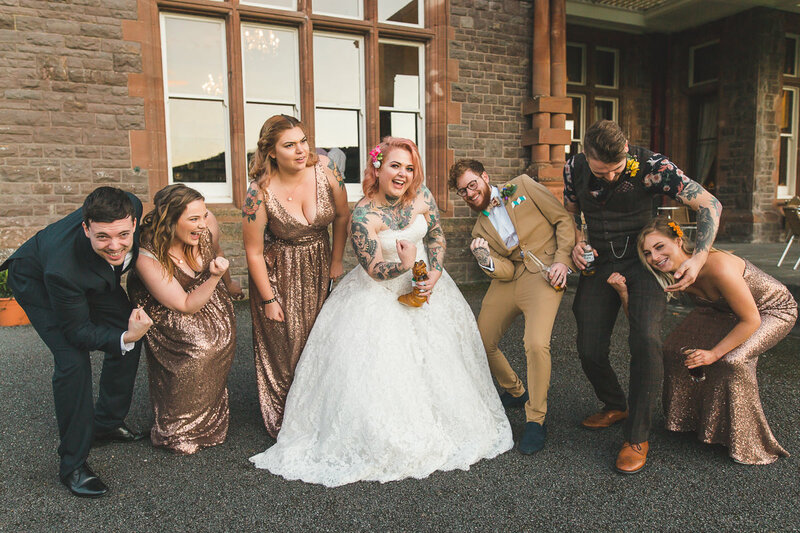 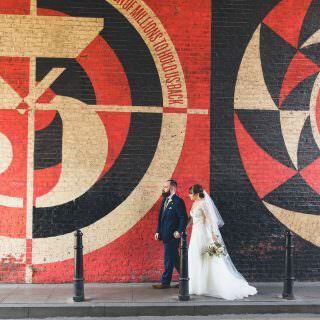 If you’re looking for Wales wedding photography or planning a quirky, alternative wedding get in touch, I’d love to hear all about your plans. 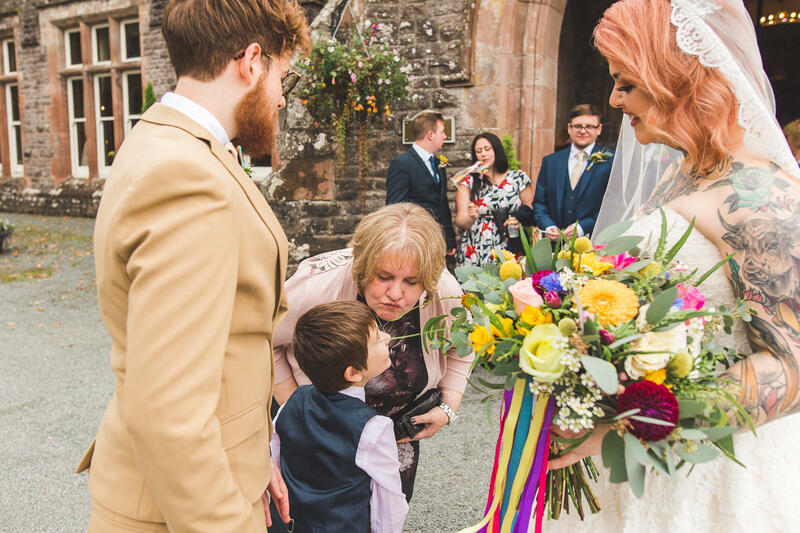 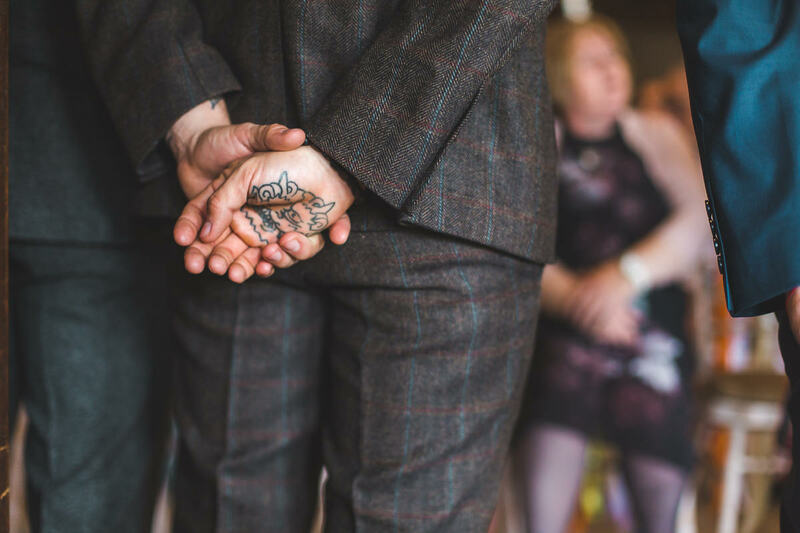 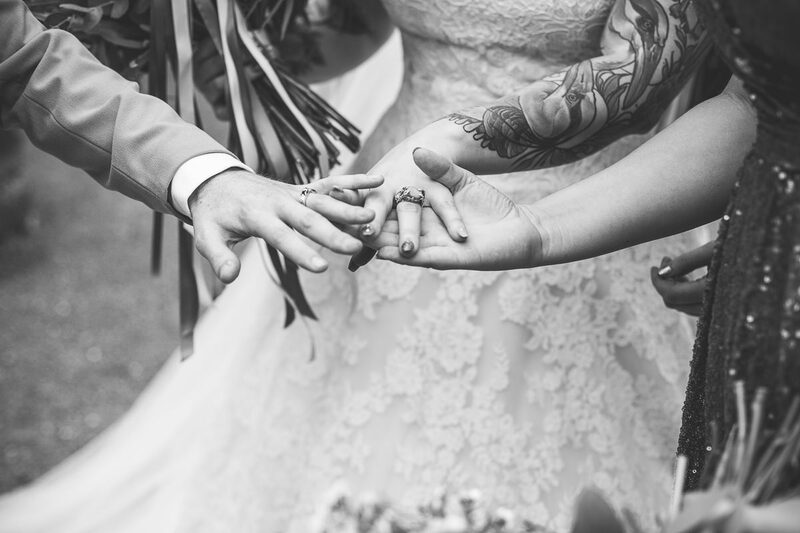 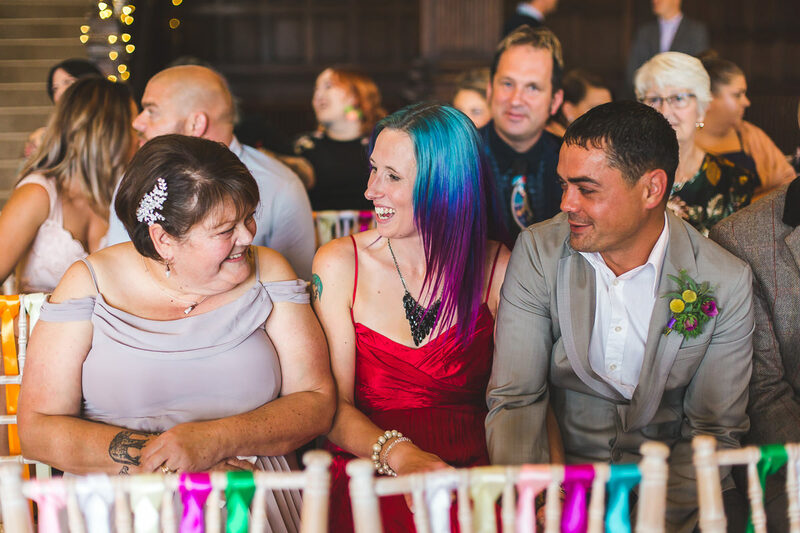 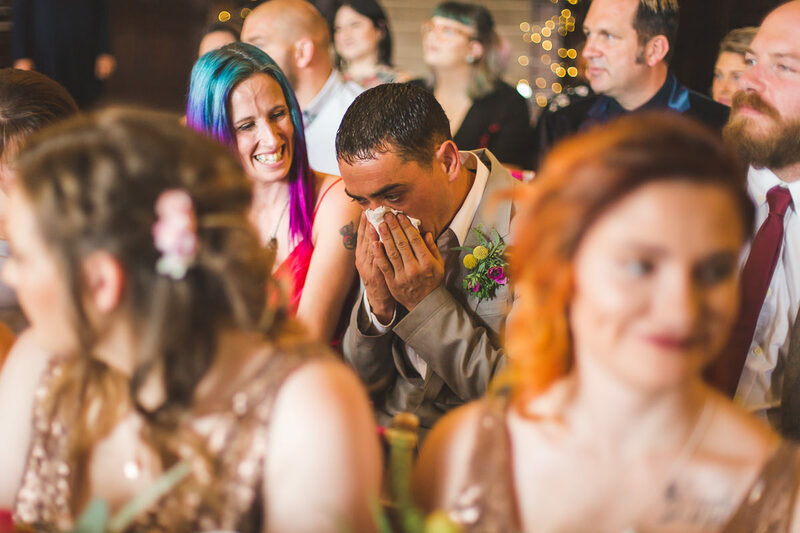 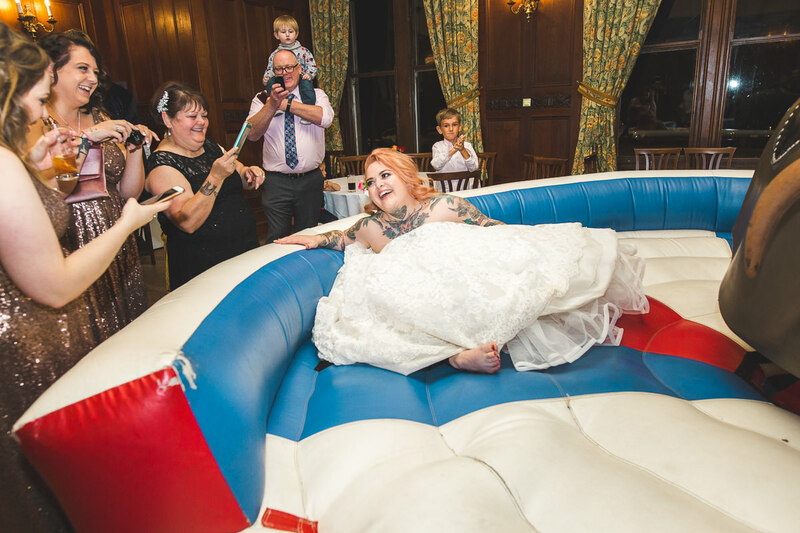 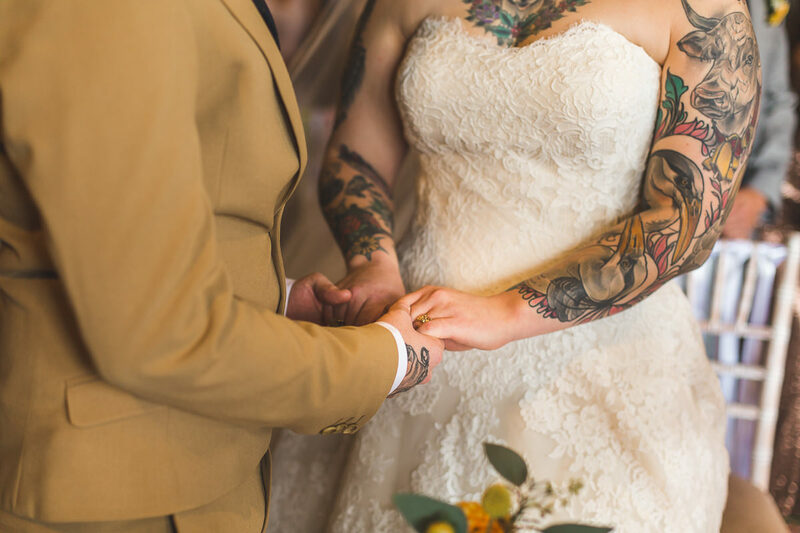 Kirsty is an alternative wedding photographer, specialising in creative documentary wedding photography that tells the story of your day. 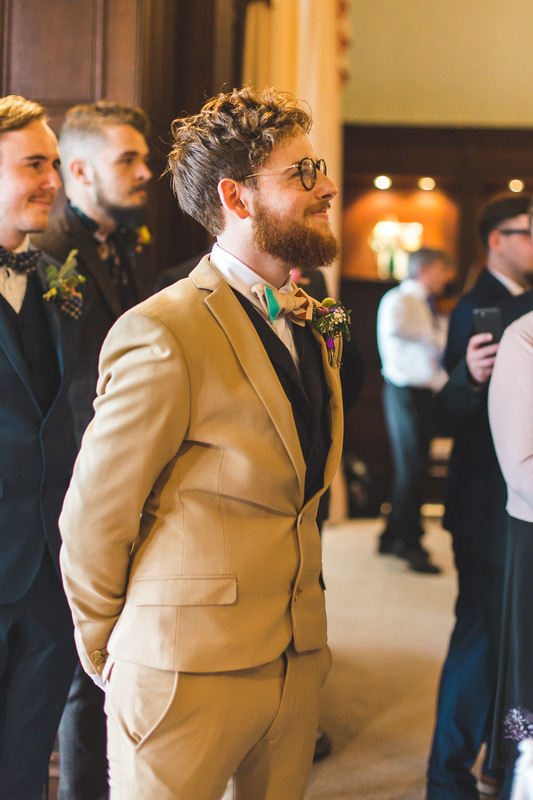 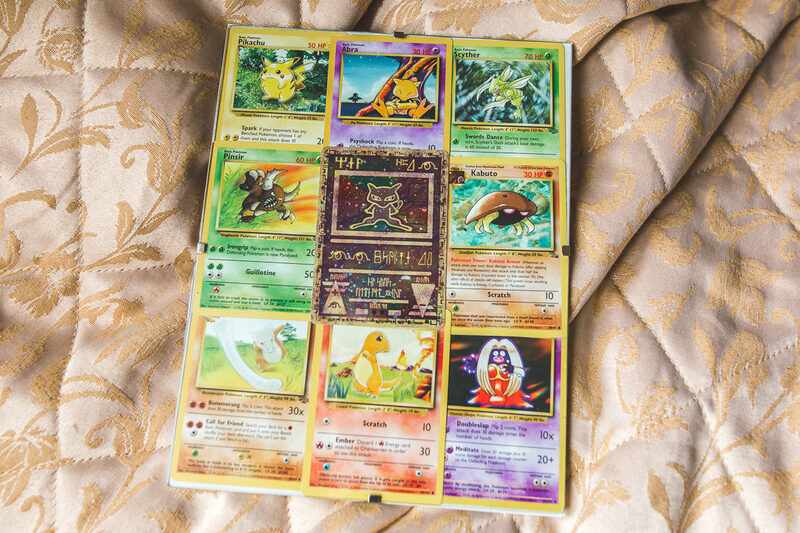 There’s no stiff awkward portraits, or Chandler Bing smiles; just meaningful moments and life long memories.